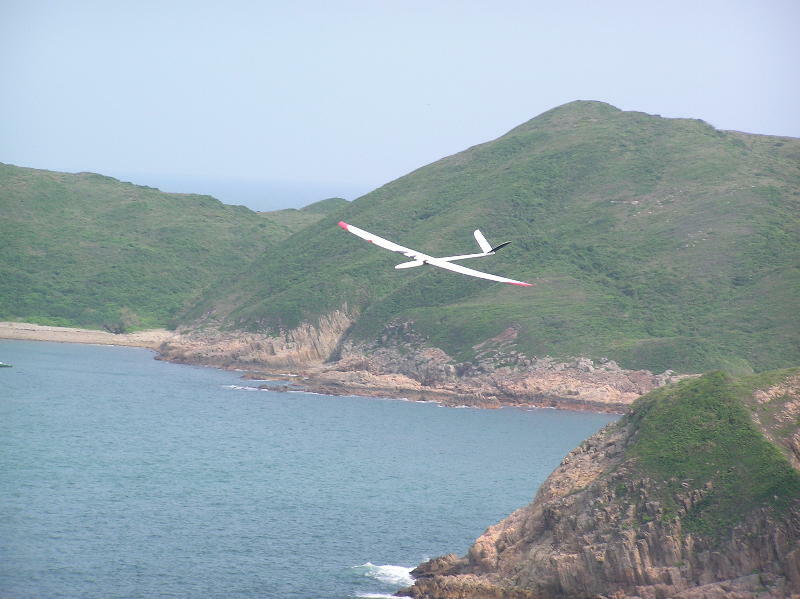 There are many suitable flying sites scattered along the east coast of Hong Kong territory. Here are some of them. These sites are either more difficult to access or less well known to slope soarers. 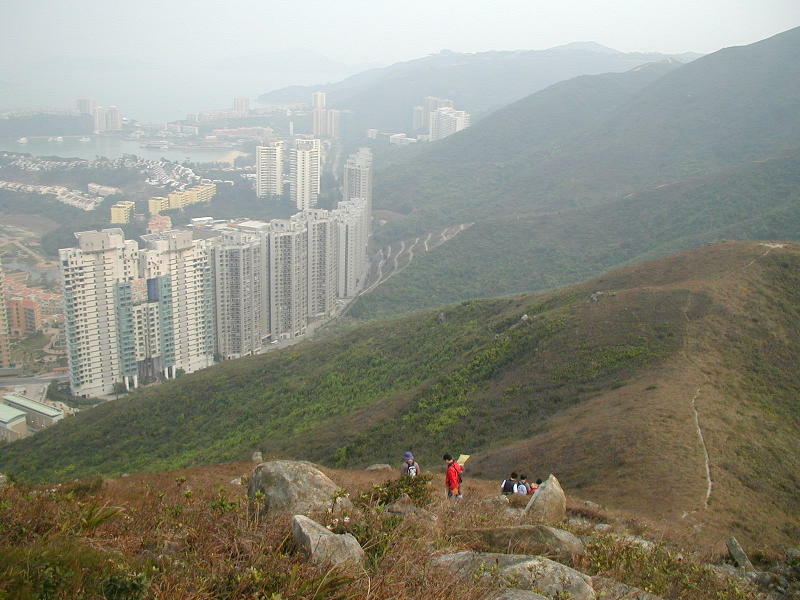 Location: Devil's peak is located about 10 km east of Kowloon city center. 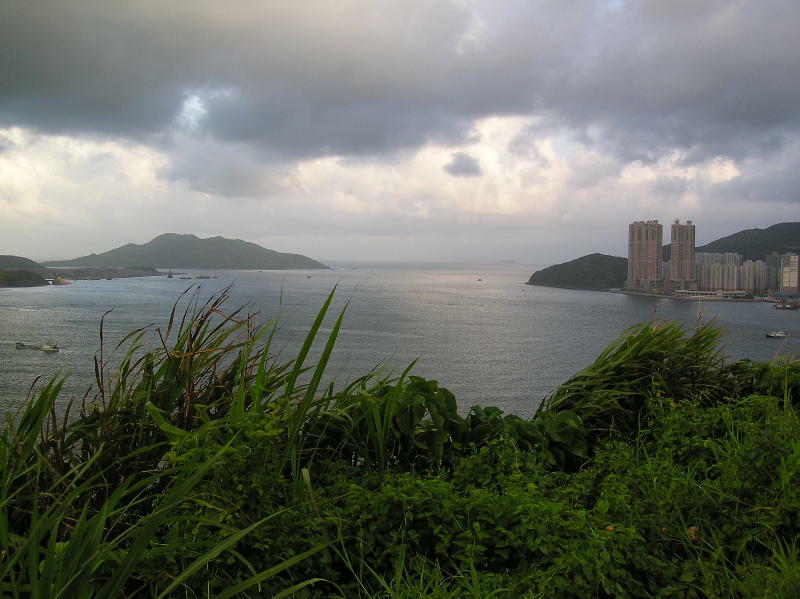 From Kowloon, you drive to the direction of Kung Tong and once you have passed Lam Tin and Yau Tong, you will come to a crossroad, turn left and then right to a small road going up to Devil's peak. This road is leading to Junk Bay Chinese Graveyard. Mind you that the road is closed for traffic in Ching Ming and Chung Yeung Festivals. Now, once you are up there, you will see the whole Junk Bay area. Just park your vehicle alongside the road. 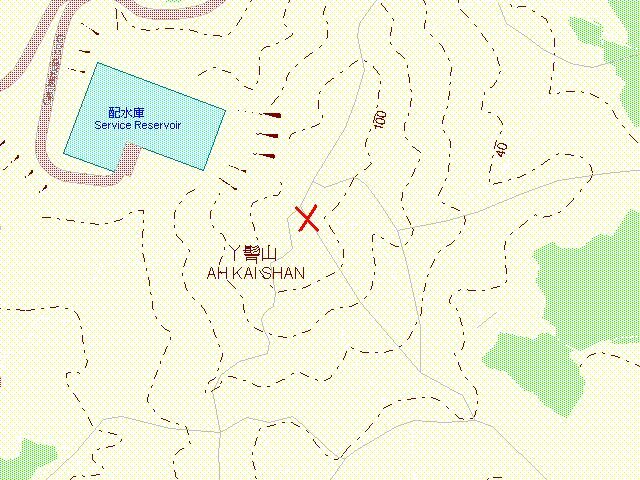 There is a flat area near an unused government land. You may fly your plane there, or you may prefer to go further up to the peak. It takes about 5 minutes to walk up to the peak from the road. Description: The slope in Devil's peak is facing east and southeast overlooking Lei Yu Mun and Junk Bay. The lift there is ok for medium sailplanes. 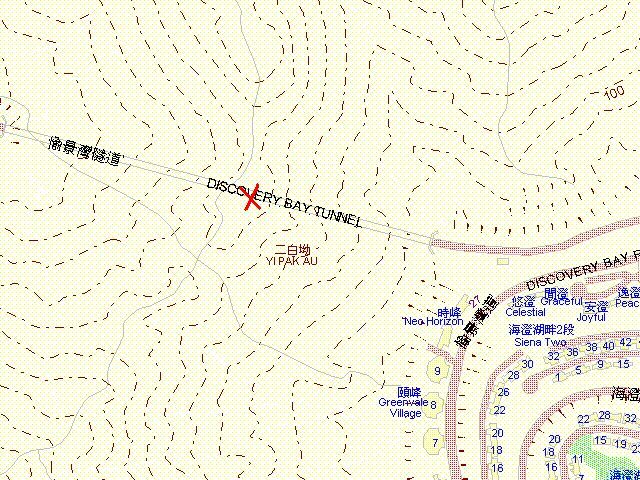 This site is not well known but it is very convenient for people living near Lam Tin. Update: This site directly under the east entrance aviation corridor for helicopters, be careful! 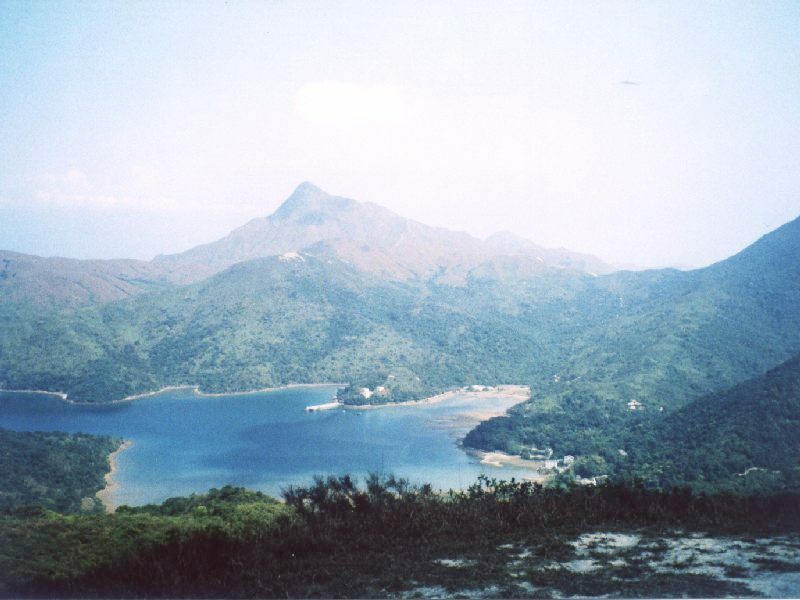 Location: Pak Shui Wun is located right next to the University of Science and Technology in Sai Kung peninsula. It is easy accessible by car. 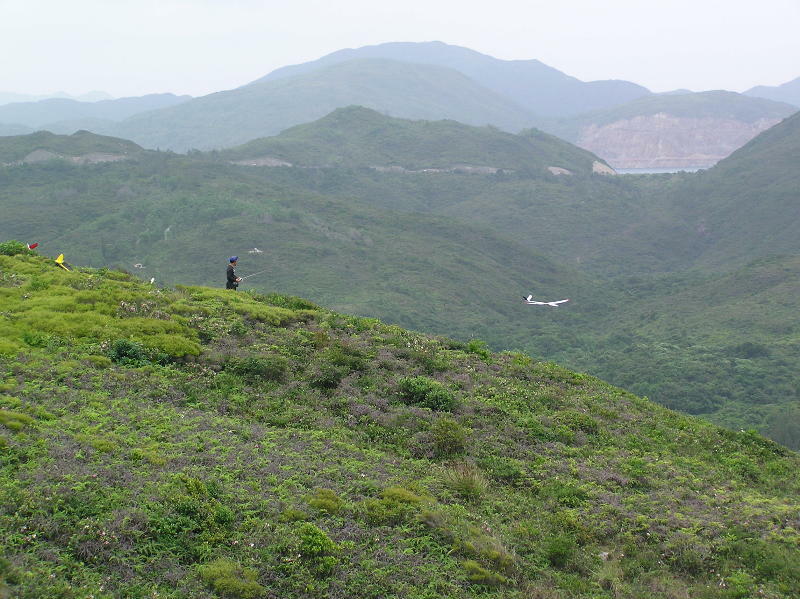 The flying site is actually on a hill slope overlooking a valley spanned between Pak Shui Wun and Cheung Kung Shan. 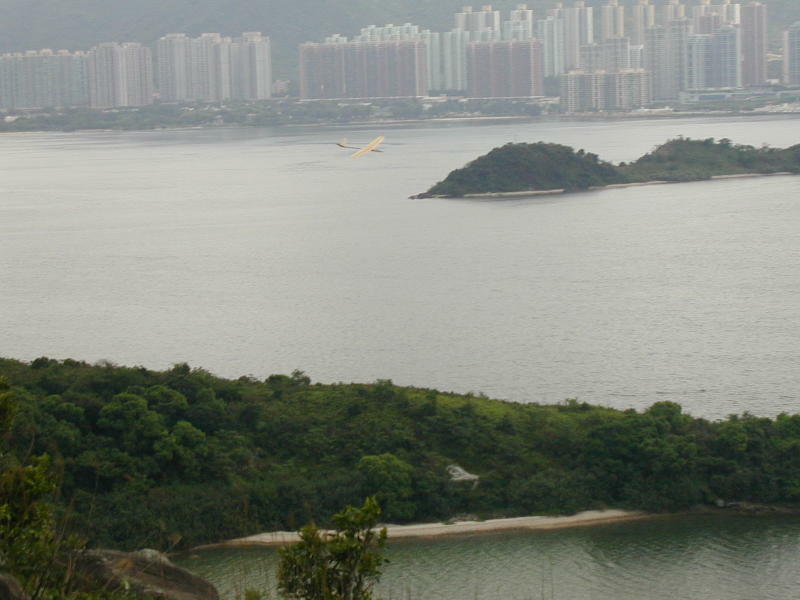 To drive there from Kowloon, you need to turn left before the University roundabout in Clear Water Bay Road. 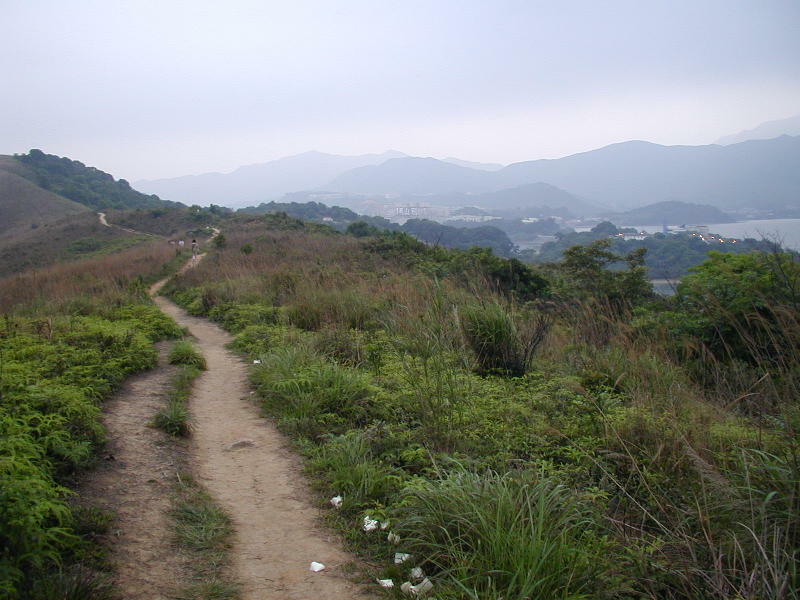 There is a road leading down to Sai Kung town. 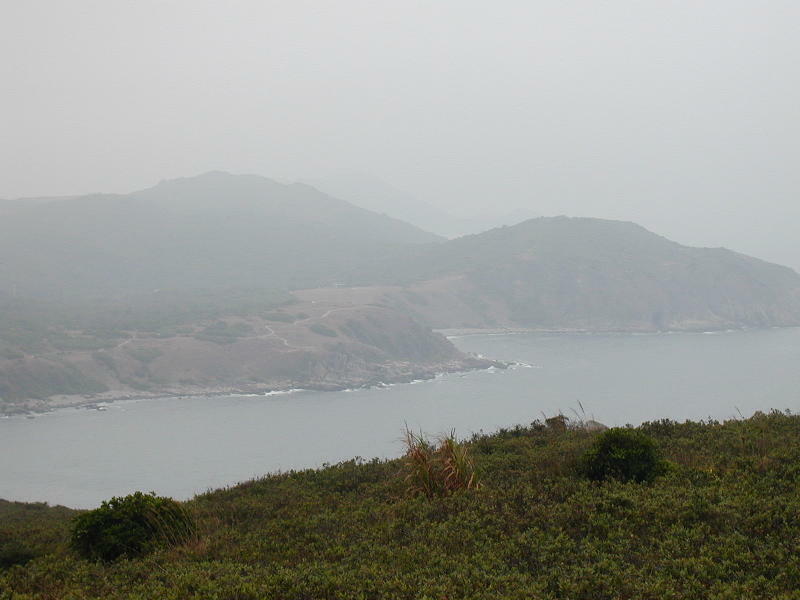 Now, just after you passed the turn left sign to Sai Kung town, you will immediately see a left-turn road next to it with a sign to Chuk Kok. On entering the road you will find a school named Cheng Chik Chi Secondary school on your right side. You need to turn right to a small road beside the school. 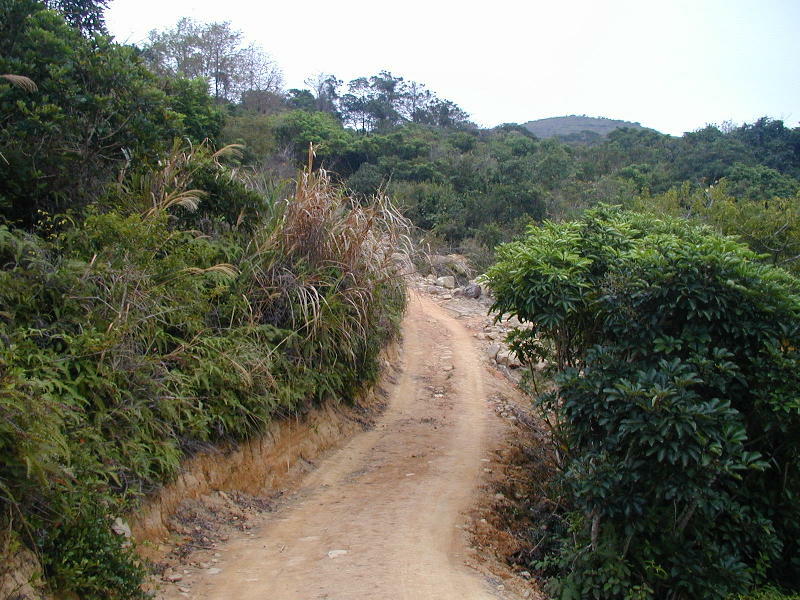 This road is leading down to Chuk Kok village. Park your car at the end of the road. 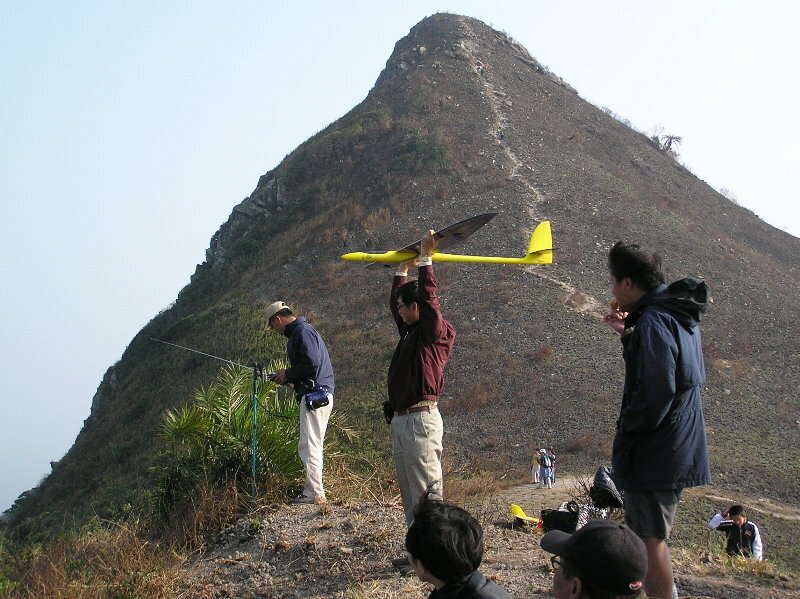 Pack up your RC stuff and walk up a slope to the east direction. The hike up is easy and take about 10 minutes. 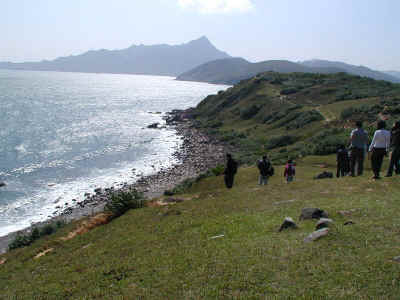 Once you are there, you will see a slope overlooking a valley and the sea. 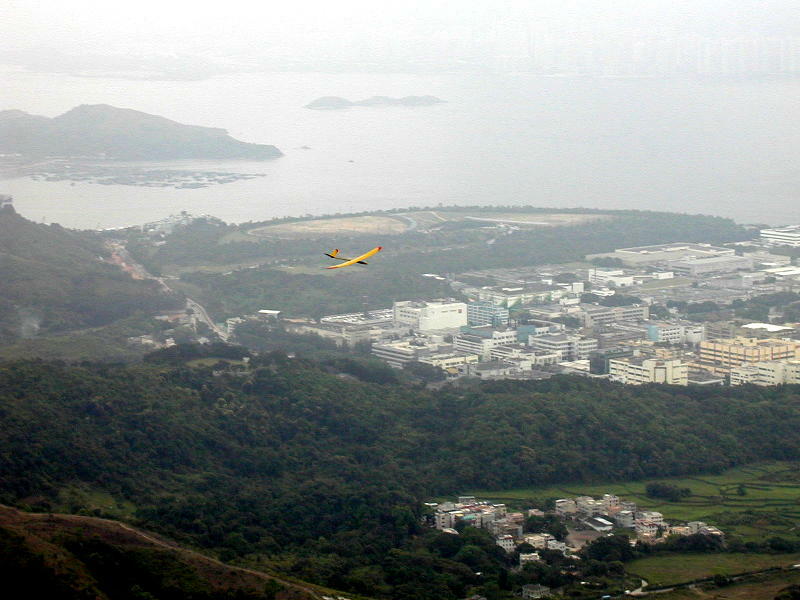 On the other side of the valley you will see The Hong Kong University of Science and Technology campus. 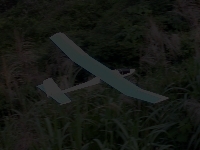 Here it is, you can fly small to medium sailplanes. Description: The slope is facing east. There are many trees nearby and be careful not to land on the tree! Since the valley is relatively small and steep with obstructions in some places, turbulence are occasionally generated; be careful! 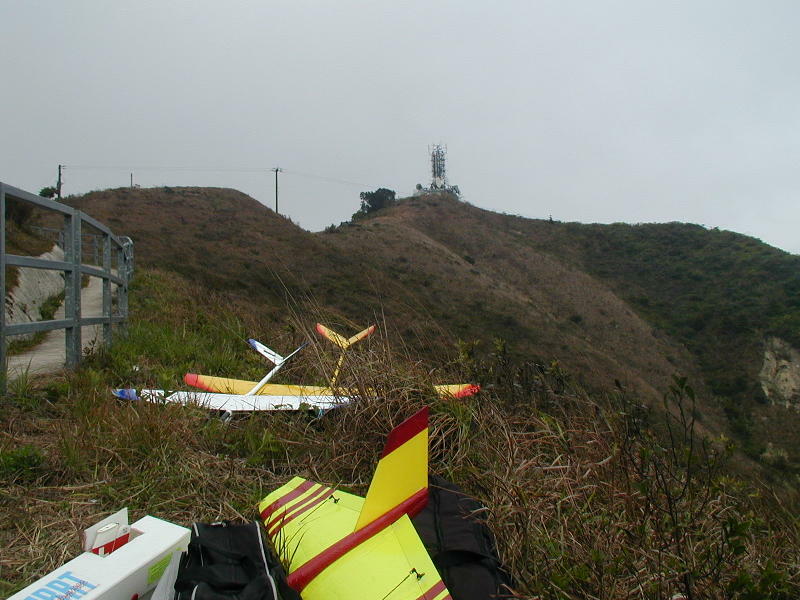 If you land your plane down below into the bushes, you will find it difficult to locate the plane even you have a beeper installed. There are also mosquito bites in summer time! 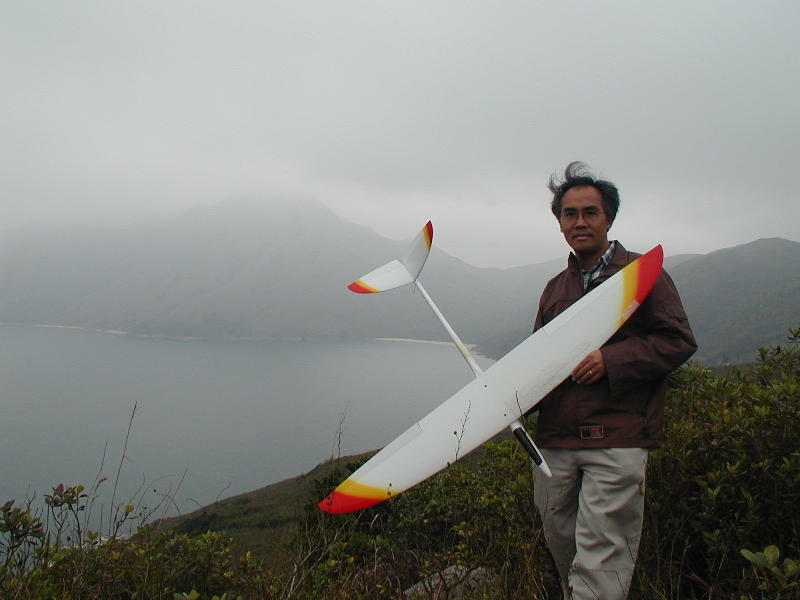 Willy Lim, a member and treasurer of The Hong Kong Radio Control Soaring Society, and a consistent visitor to the site from late 1995 to early 2000, has re-visited the site on 25th October, 2001. 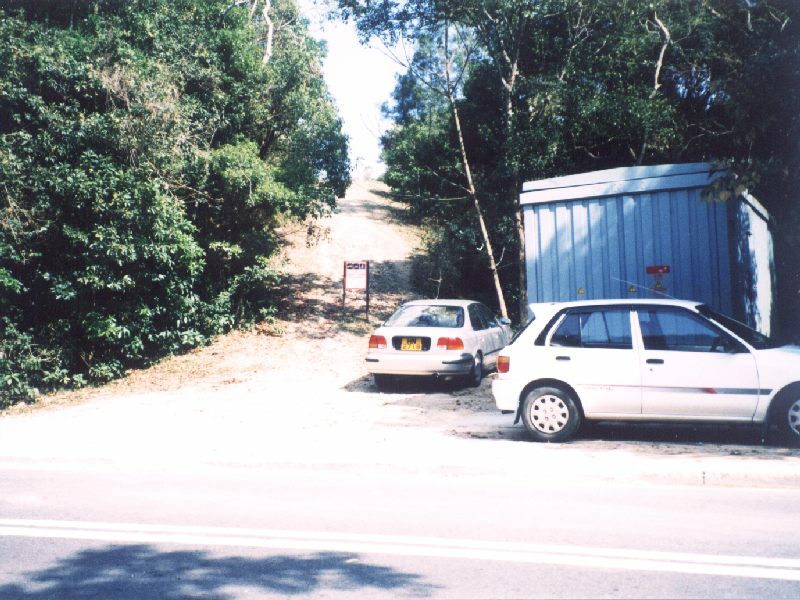 He reports that the access trial from the car park to the flying site on the hill top is now heavily covered by overgrown vegetation, making access to the site very difficult. 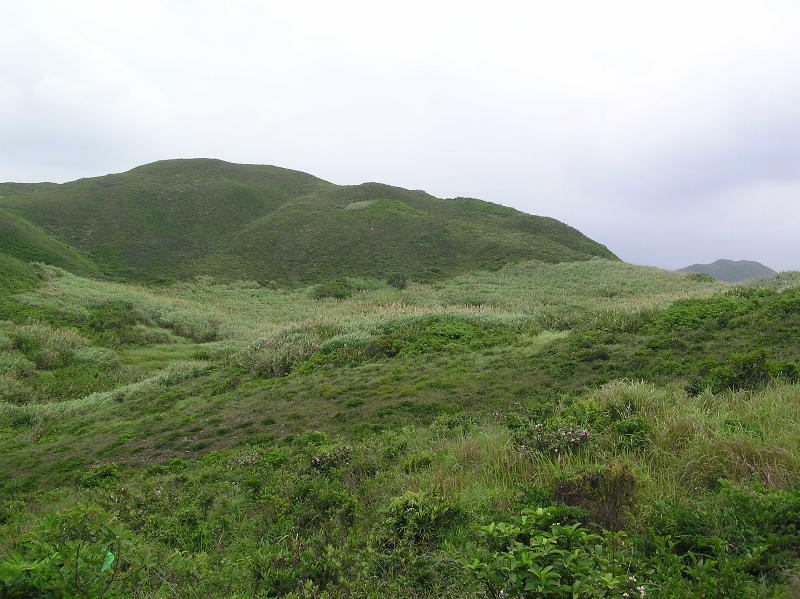 Further, those who make it to the hill top will find that the vegetation there, previously only knee high, is now chest deep, turning what was a leisurely walk on the hill top to the slope face into an exhausting struggle. Another hazard discovered by Willy on the hill top is that, apart from the tall vegetation, many small trees are now scattered across the site. The danger they pose to planes, particularly the larger ones, trying to land there are obvious. 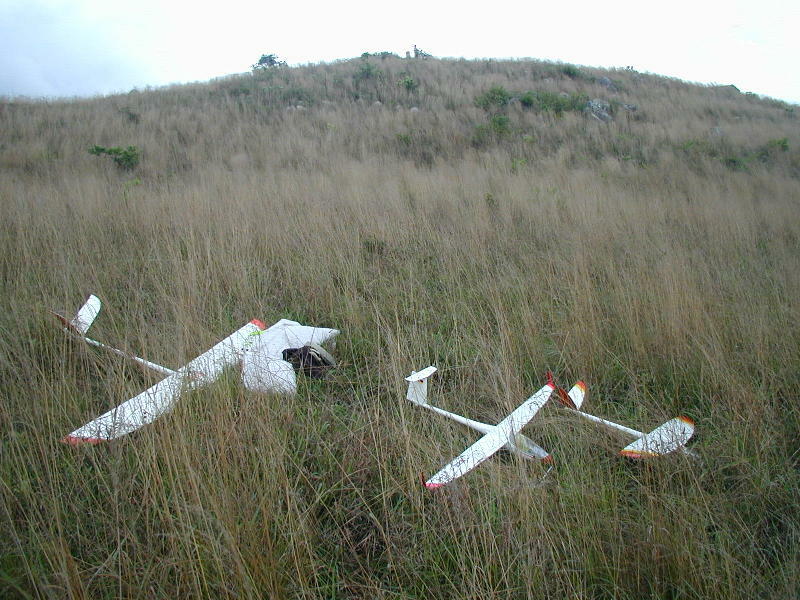 For the above reasons, Willy believes that this site should be temporarily considered as unsuitable for flying until such time the vegetation is reduced by say, a few consecutive dry years. 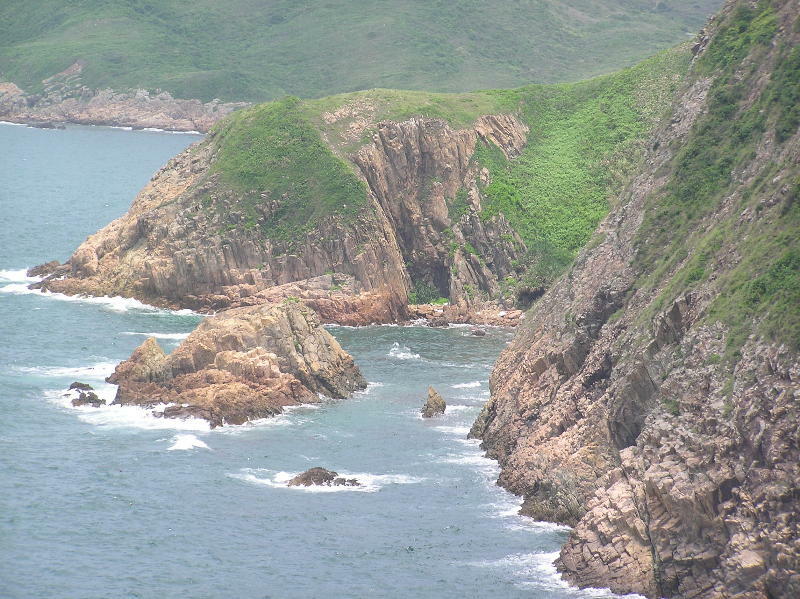 Location: Tap Mun is a small island located off the northeast coast of Hong Kong territory. 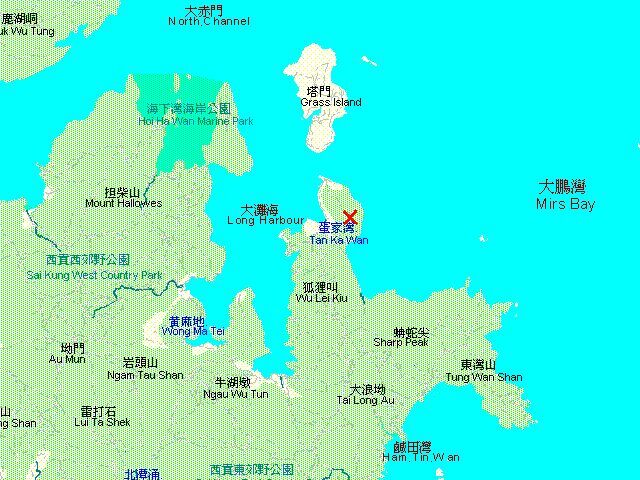 There are two daily ferry services running between Ma Liu Shui in Shatin and Tap Mun. The first ferry departs at 8 am and returns at 11 am. The later departs at 1 pm and returns on 5 pm. The ferry ride takes about one hour 15 minutes. 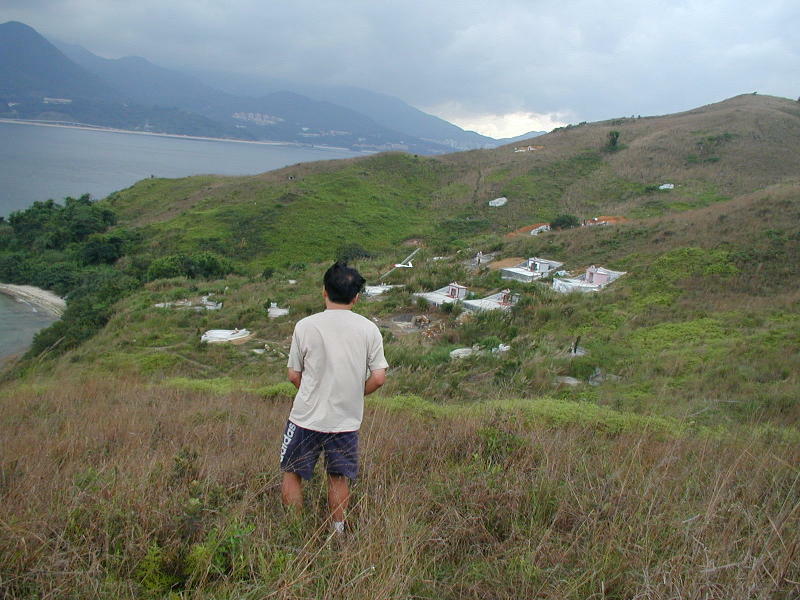 Once you land on Tap Mun, you walk up through the village to the hill top on the east side of the island. At there you can see a flat grassland and a camping site. Looking to the east direction you will see Mirs Bay and a small stony beach down below. 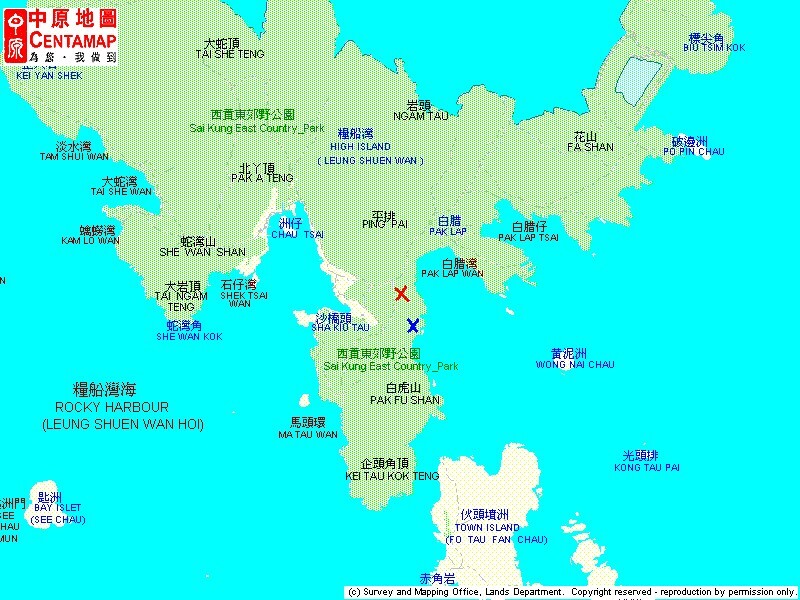 You may fly your planes here or you may prefer to go further north to Che Wan where the elevation is higher. Description: The slope is facing east and southeast and is not steep at all. 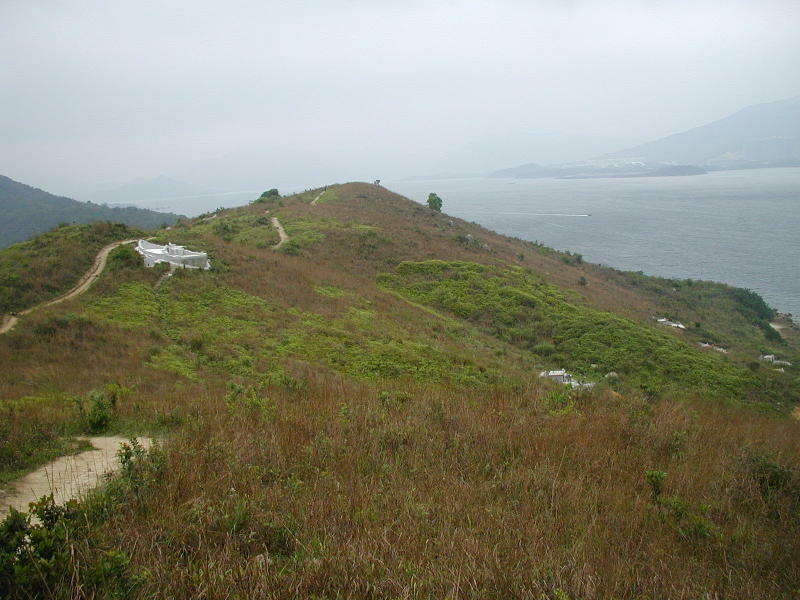 The hill top is just about fifty meters above sea level. There are plenty of landing areas on top. The lift, however, is quite ok because the wind breeze is unobstructed from the sea. You can fly the plane along the cliff on the beach edge, good fun! It is also enjoyable for a day outing with your families there. 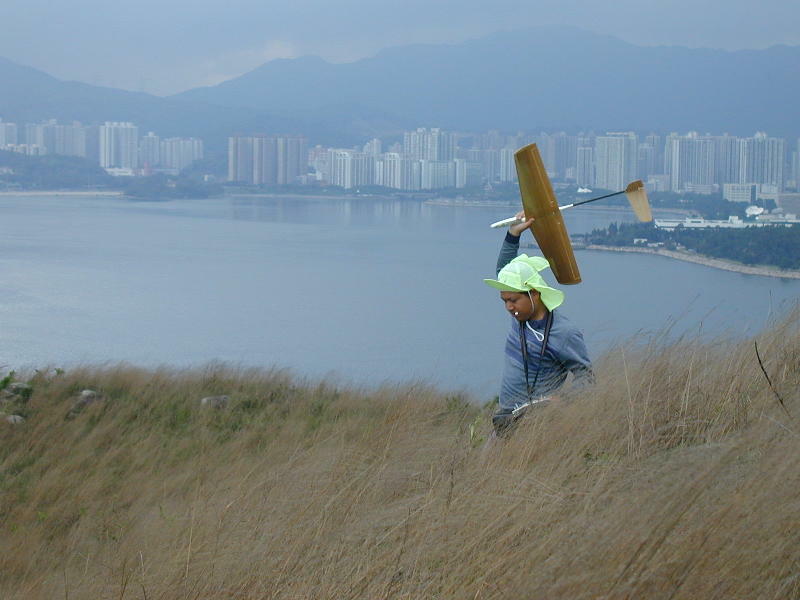 See a movie for slope soaring here. 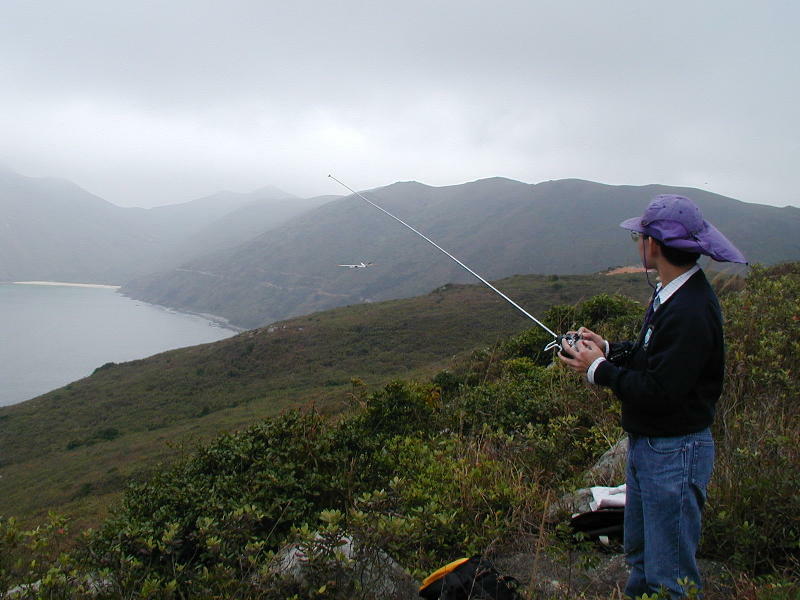 See a movie for launching a sailplane here. 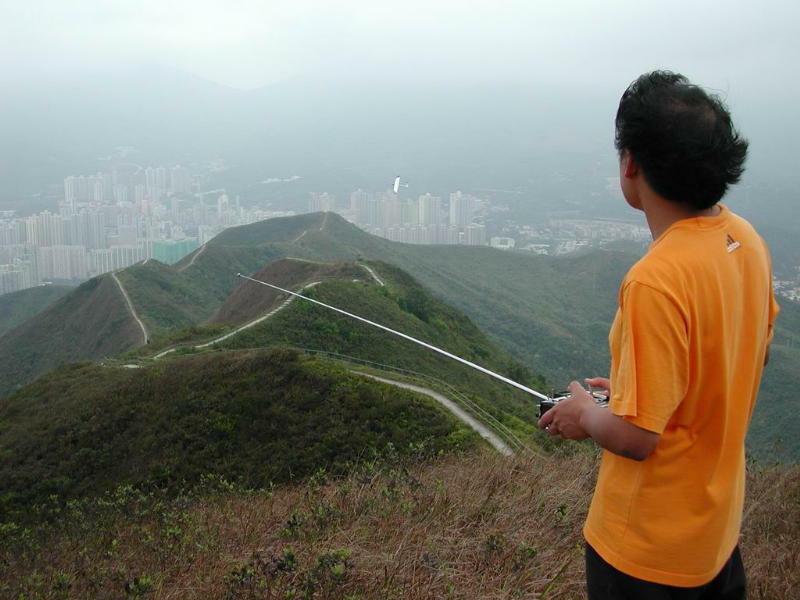 Location: Kau Kung Hang Shan (Cloudy Hill) is a mountain range located between Fan Ling and Tai Po. This site can not be accessed by vehicle of any kind. The most preferred way to go there is from Fan Ling side. If you drive from the direction of Kowloon along Tai Po Road (not Tolo Harbor Highway), once you have passed Hong Luk Yuen and just before the road is turning to Fan Ling, stop on the right side and find a convenient place to park your vehicle. Pack up your RC stuff and walk on the village paved road to the east direction into the village with scattered houses. It takes about 5 minutes to pass the village to reach the edge of Kau Lung Hang Shan, then you will find a small country road leading up to the mountain. You need about 30 minutes to walk up to the top. 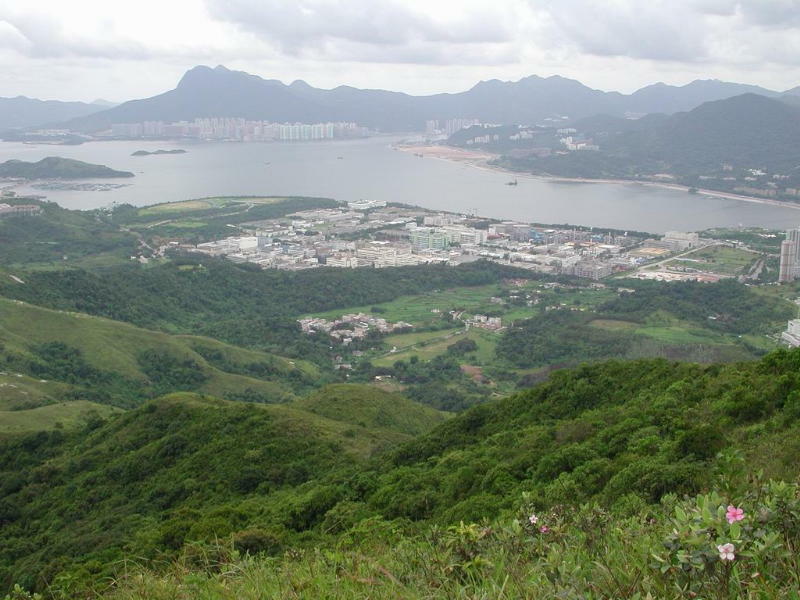 At the hill top looking to the east direction, you will see the whole Tai Po area and Tolo Harbor. 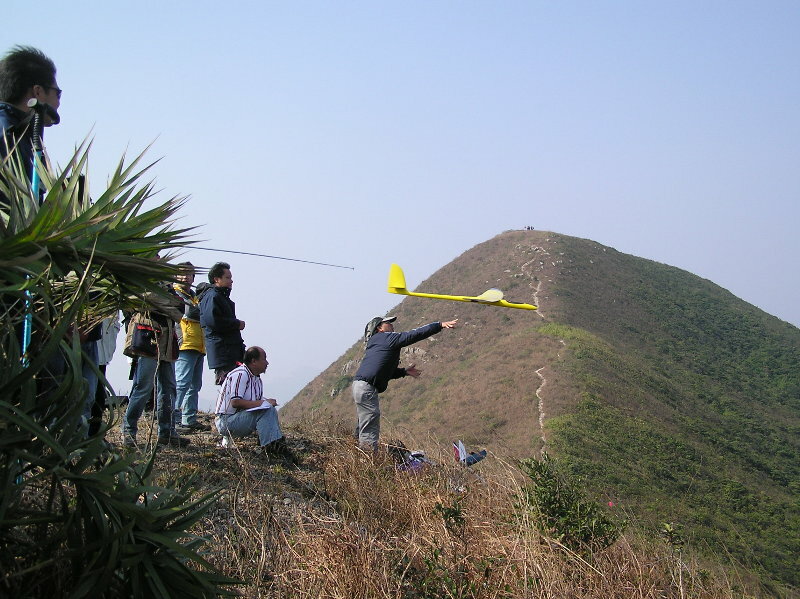 You may find a convenient place along the ridge to fly your planes. 1. Drive your car from FanLing near Kiu Tau up along Lau Shui Heung road. It will be a very difficult drive and can be dangerous. You definitely need a 4W Drive Jep. 2. 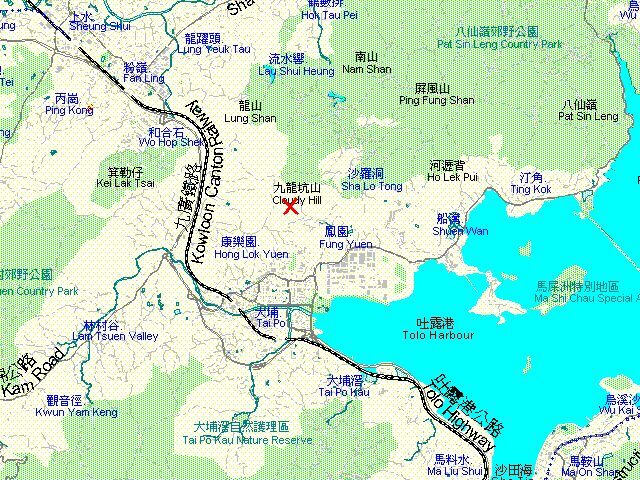 Drive to Sha Lo Tong and park the car there. Walk up to the top of Cloudy hill from there. It is a 30 minutes hike and can be quite demanding. 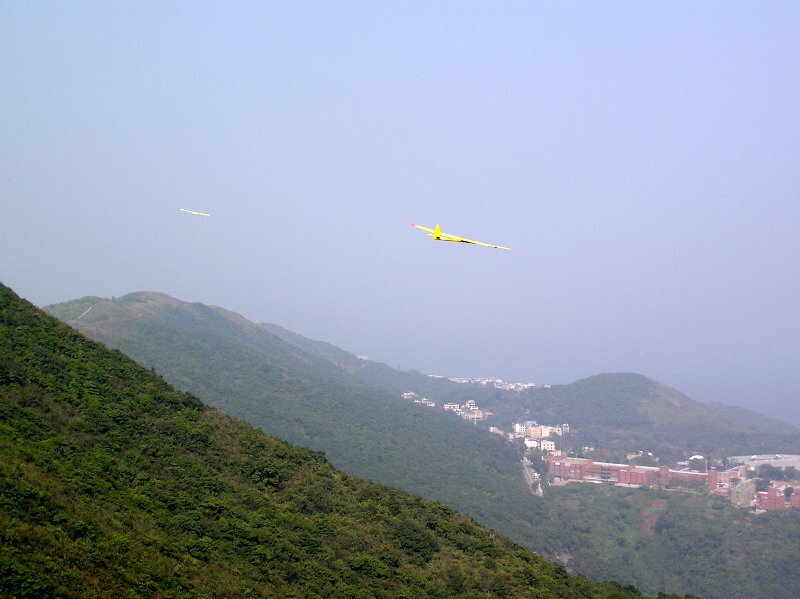 Description: Fly on the slope that is facing east. There are plenty of flat landing areas on the hill top. The lift factor is quite good in windy days. 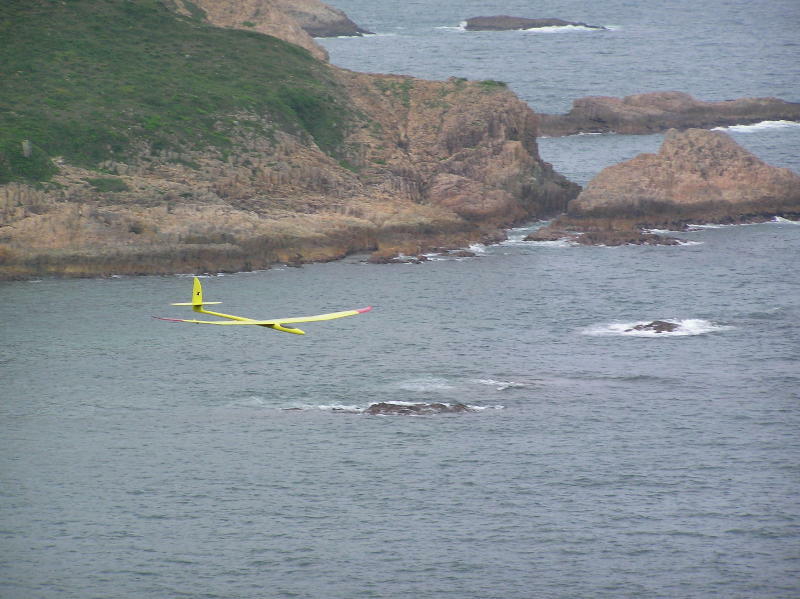 You can fly both small and big sailplanes. Hikers may occasionally pop up because you are right on the Wilson Trail. 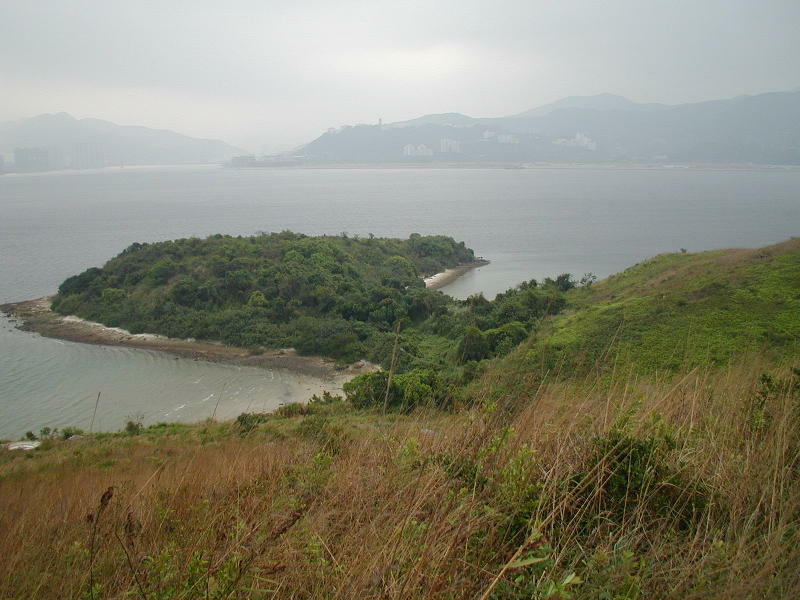 Location: Discovery Bay is in Lantau island. 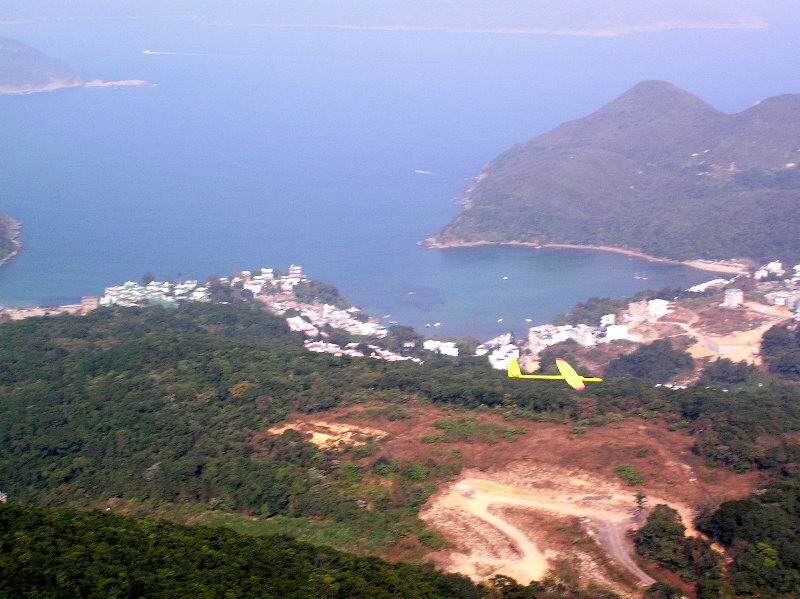 The flying site is on the mountain top near Discovery Bay. 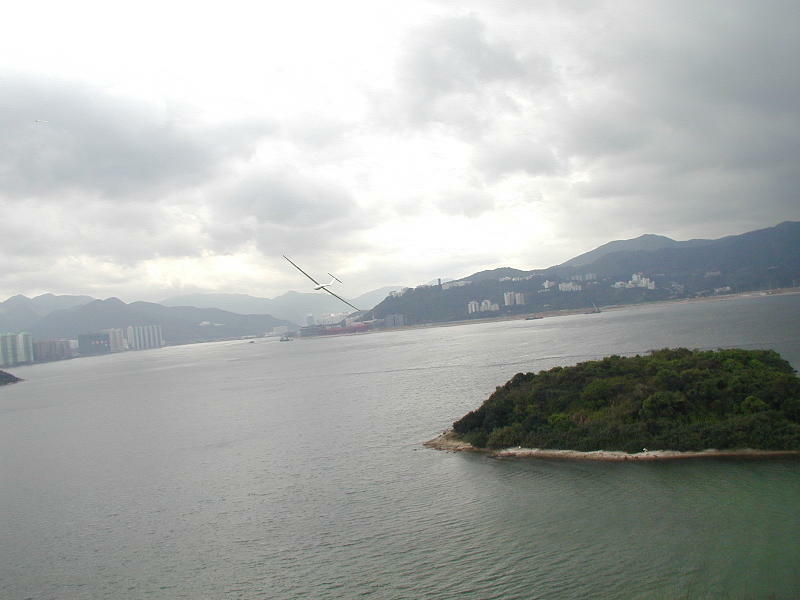 You can take the regular ferry service to go there from Hong Kong island. 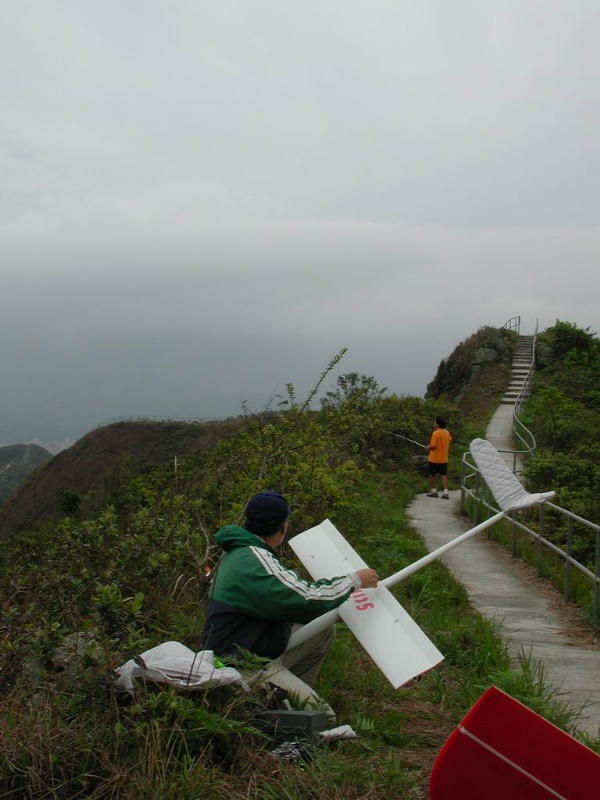 If you are already living in Discovery Bay or Lantau island, you will find the flying site convenient and easy accessible. 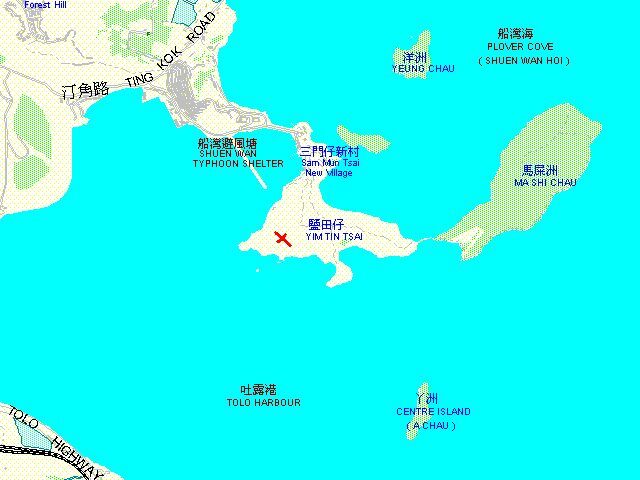 Once you are in Discovery Bay, you will notice that all the buildings are labeled as "Green". You should go straight to the north end of housing apartments to 'Greenbelt Court' and the track leading to the flying site starts from there. It takes about 15-20 minutes to go to the top. At the top turn right and walk about 100 meters up a couple of rises. You should find a suitable place along the ridge line for flying. The site is good with easterly winds and also for westerlies. 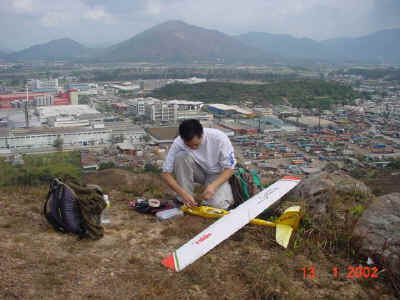 Description: The flying site is on the mountain ridge so it has both east-side and west-side slopes. 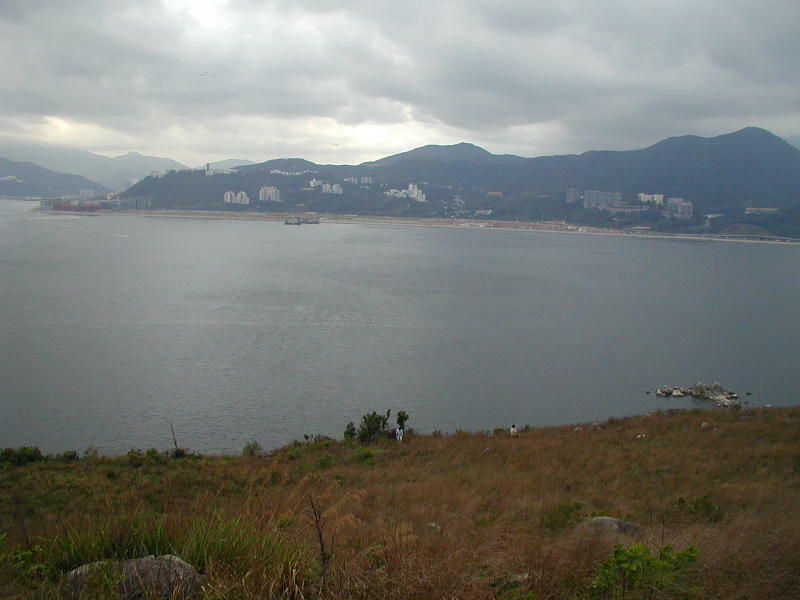 Looking to the east, you will see Kowloon and Hong Kong island. The wind coming from the east can generate very good lift. There are plenty of landing area on the top. You also need a beeper in case your plane run wild into the bushes. On the west-side slope you can see the new airport. It is quite cool flying and watching 747's flying past ! Too bad! 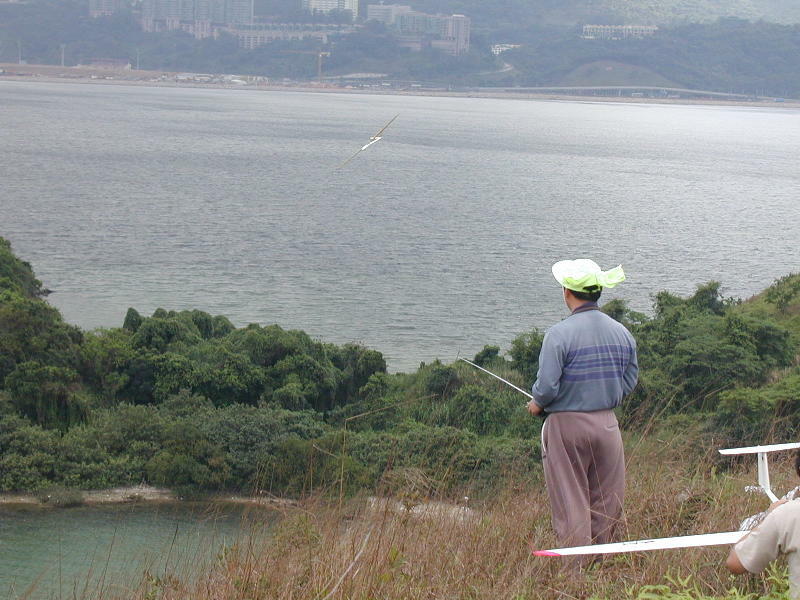 There some tall buildings in Discovery Bay now and the slope is not much higher! 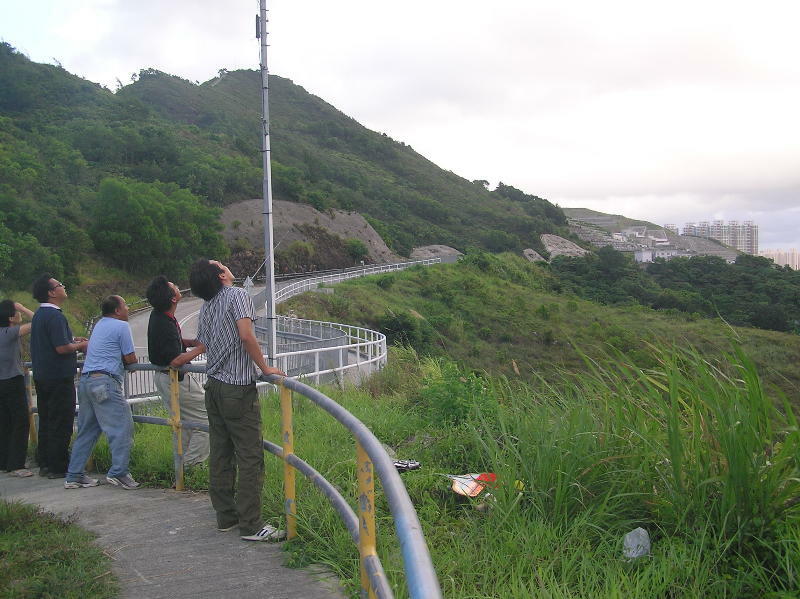 Location: Ah Kai Shan is a small hill located near Yuen Long Industrial Estate. This site is easy accessible from a nearby water service reservoir. To go there from Yuen Long old town, take the direction of industrial estate along Fuk Hi Street. After passing the industrial estate near South China Paper Ltd, turn left on to Fuk Shun Street. Drive all the way up until you reach a fresh water service reservoir (covered). Park you car there and walk up 40 meters to the hill top. The flying site is the east-facing slope overlooking the Industrial Estate. The site is good with easterly winds. 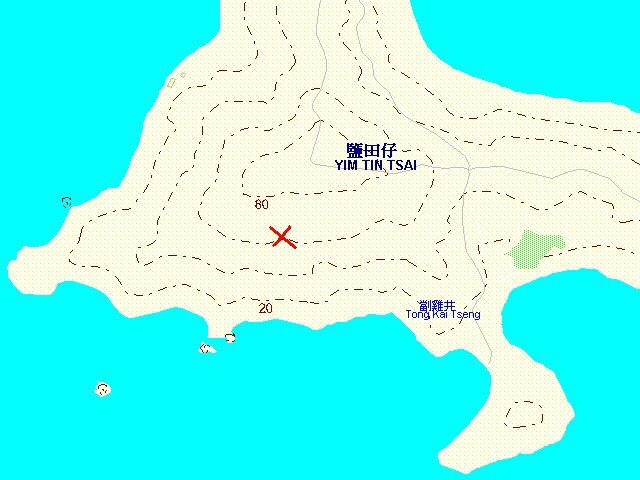 Description: The flying site is on the hill top. 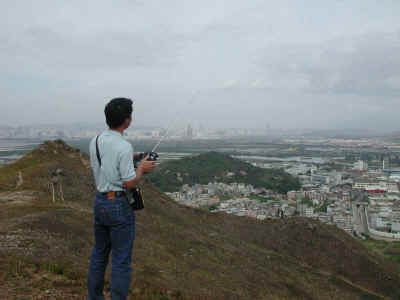 Looking to the east, you will see Yuen Long Industrial Estate and Nam Sang Wai, to the north you will see Mai Po Nature Reserve and Deep Bay with Shenzhen on the far sight, to the south you will see the Yuen Long old town. Since the buildings in the Industrial Estate are low rise buildings, the wind come from the east without obstruction and can generate very good lift. There are reasonable good landing areas on the top. 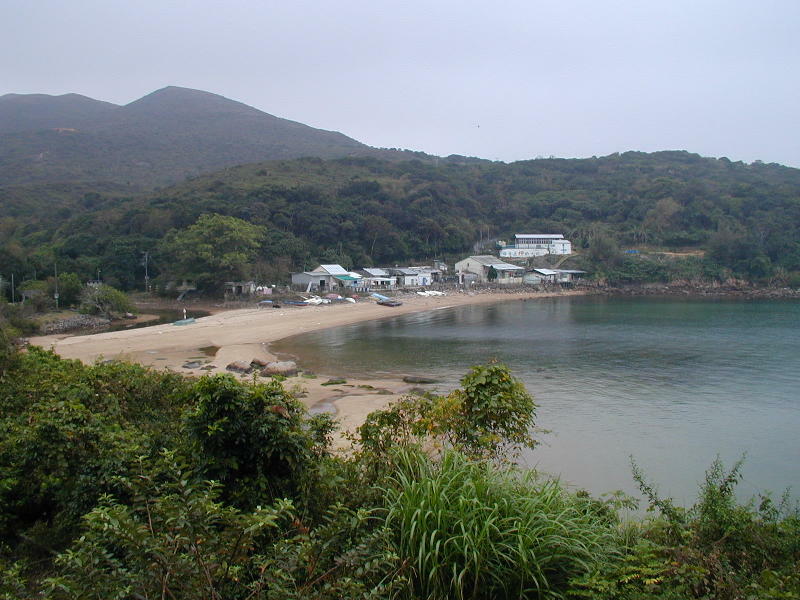 Location: Ko Lau Wan is a small fishing village in the northeast coast of Hong Kong territory. 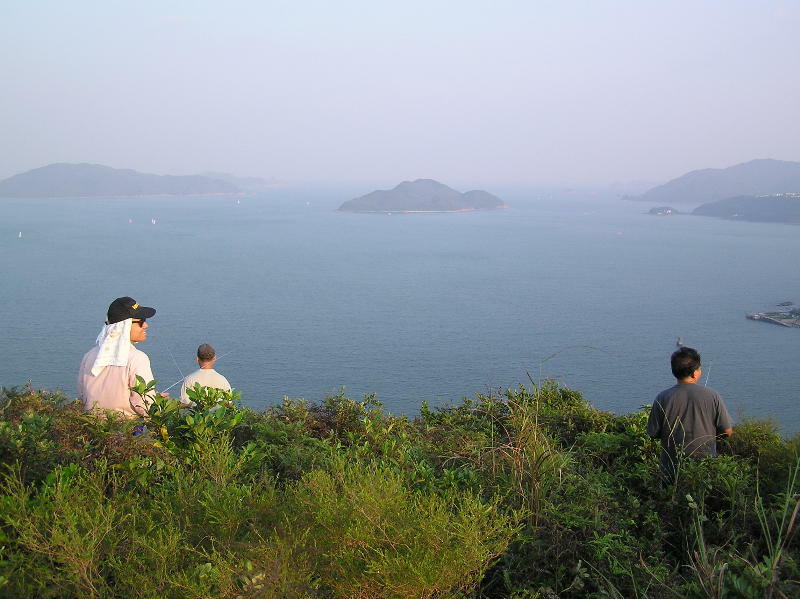 You can take the ferry to Grass Island in Wong Shek Pier and disembark in Ko Lau Wan. 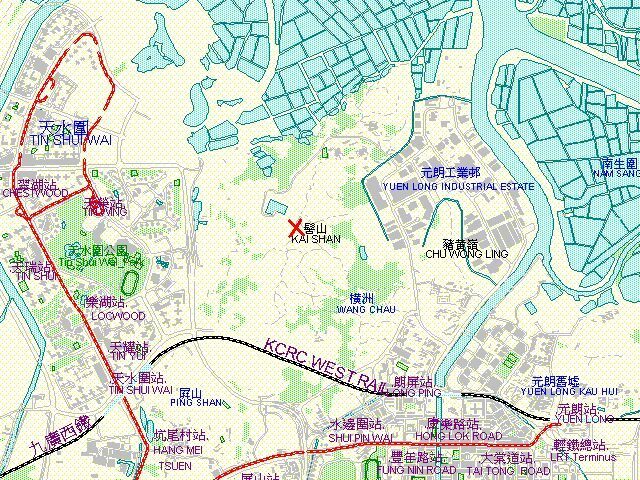 KMB has bus 94 running between Sai Kung Town and Wong Shek Pier. In Sunday and public holiday there is also a bus 96R running between Diamond Hill and Wong Shek Pier. 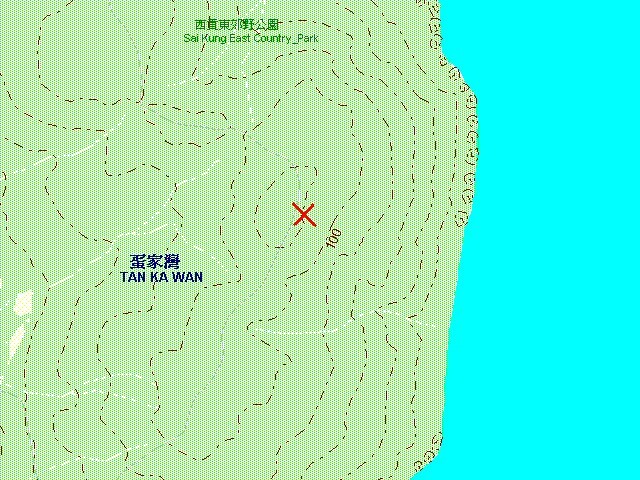 To go to the flying slope, walk to the direction of Tan Ka Wan to the south (about 5 minutes walk), before entering Tan Ka Wan there is a newly opened muddy road leading up to the mountain. This road was constructed by the Water Supply Department for laying the water pipes between Ko Lau Wan and Tai Long Wan - environmentally quite damaging but convenient for the slopers like us! The easy ascend takes about 5 minutes. 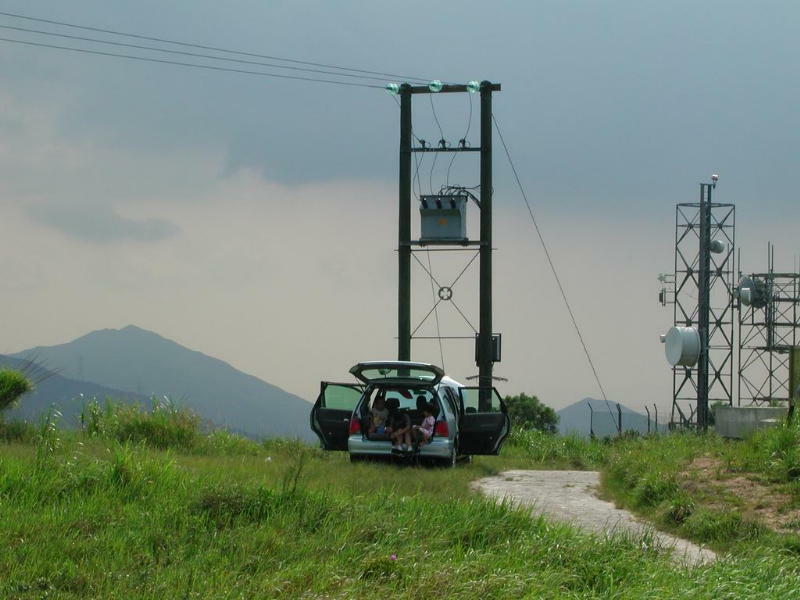 Up on the mountain you will see a water supply tower (being constructed), on the left hand side you will find a wide open east-facing slope overlooking Mirs Bay. To the south you will see a beautiful landmark - Sharp Peak. 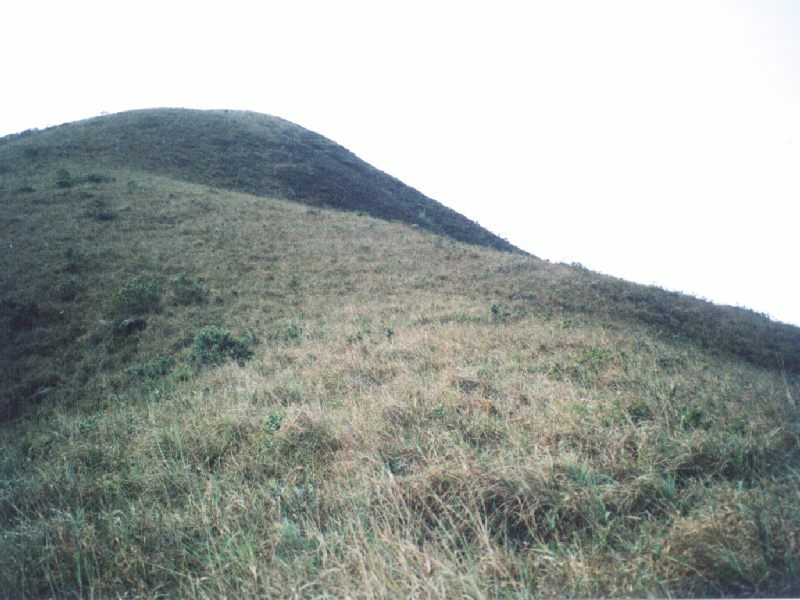 The slope is about 100m height with grassy field but also some scattered rocks. Description: The site is good with easterly winds and the lift it generates is just FANTASTIC! Pick up should not be difficult as the slope is not steep. There may be a few abandoned cows around but they are not harmful. 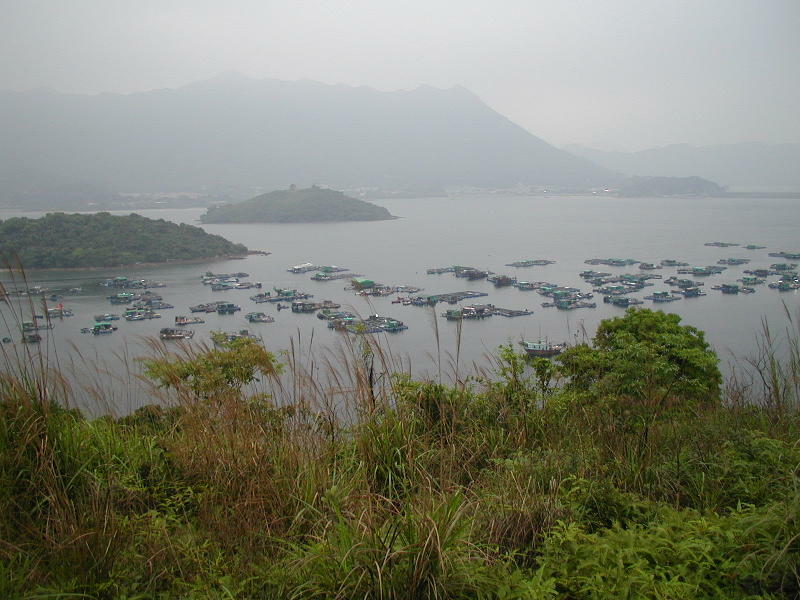 Location: Sam Mun Tsai is a fishing village in Tai Po with some famous seafood restaurants. 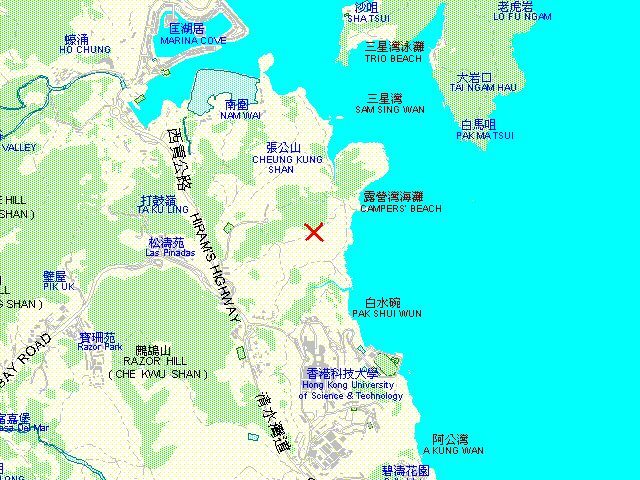 The flying site is on the south coast of Yim Tin Tsai bordering Ma Shi Chau. 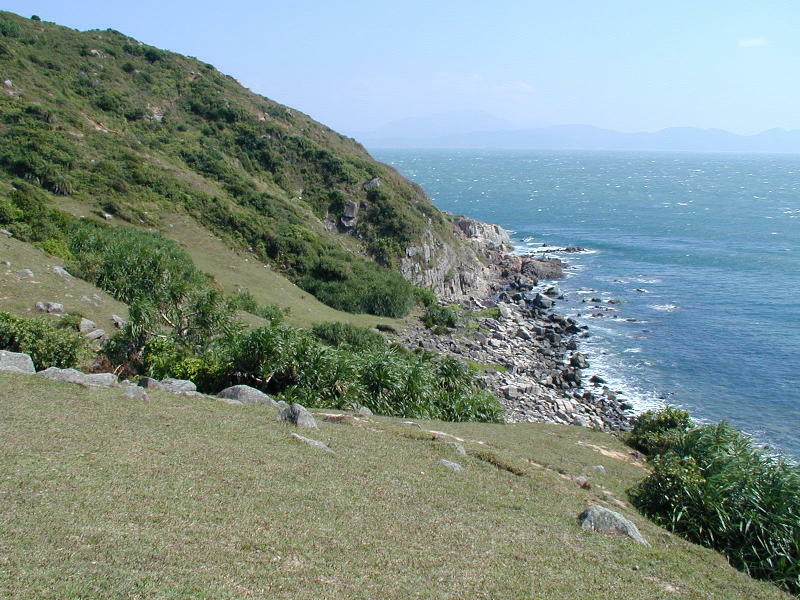 Ma Shi Chau is an island connected by a landbridge and is a special natural area famous for its fossils of ancient ammonites and volcanic rock. 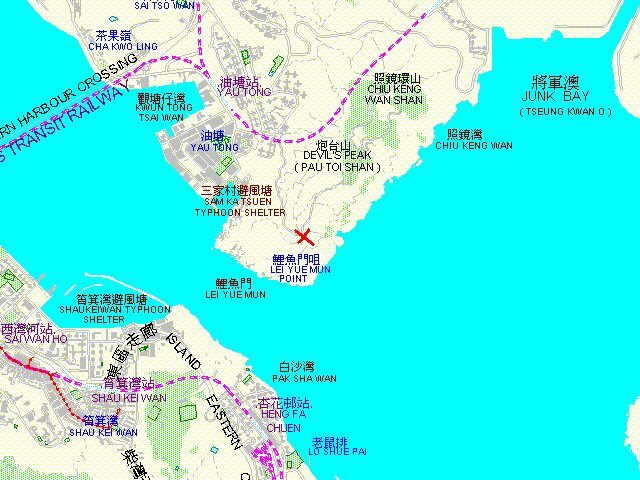 You may park you car in Sam Mun Tsai village and walk to the flying site. At the Sam Mun Tsai roundabout, there is a road leading up to a playground, follow the sign of Ma Shi Chau and turn right into the village. 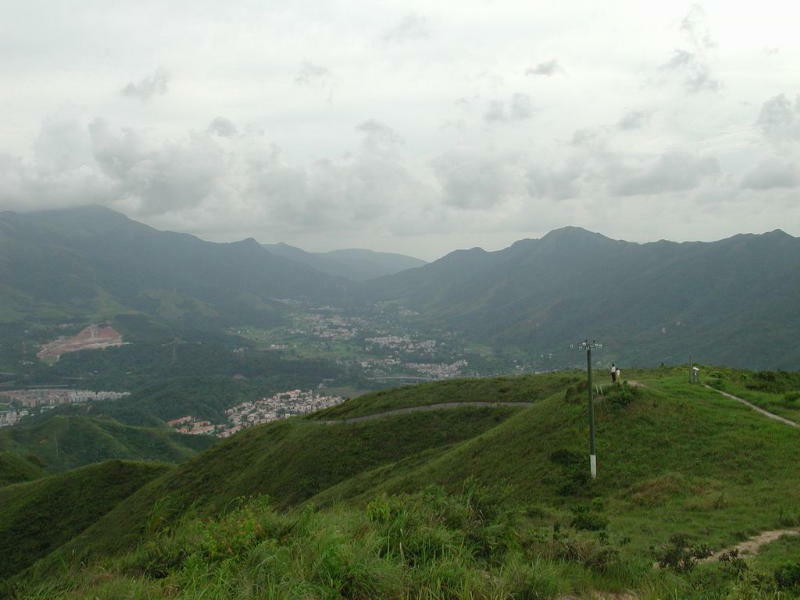 After passing through the village and an abandoned school, you will find a hiking trail leading up to the hill. There are a few well-maintained ancestors' tombs of the villagers along the trail. 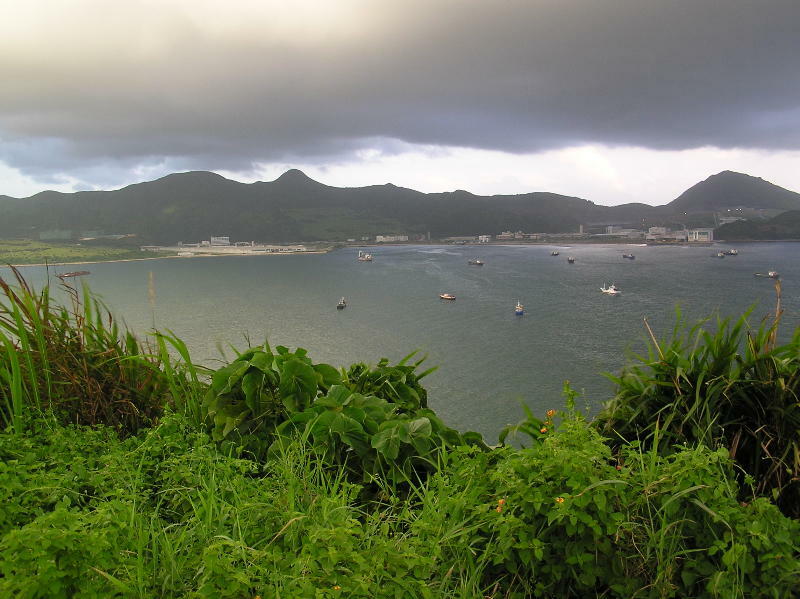 Walk for about 10 minutes, you will see a southeast facing slope with an open view of the Tolo harbour. 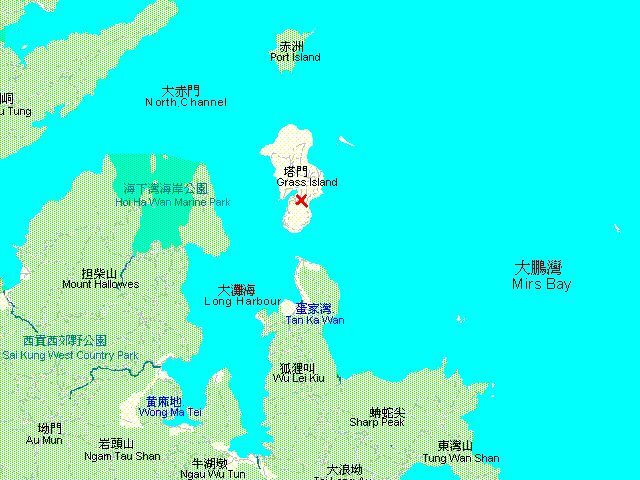 To the east you can see the beautiful Ma Shi Chau island and to the south you can see Ma On Shan town on the opposite side of Tolo Harbour. 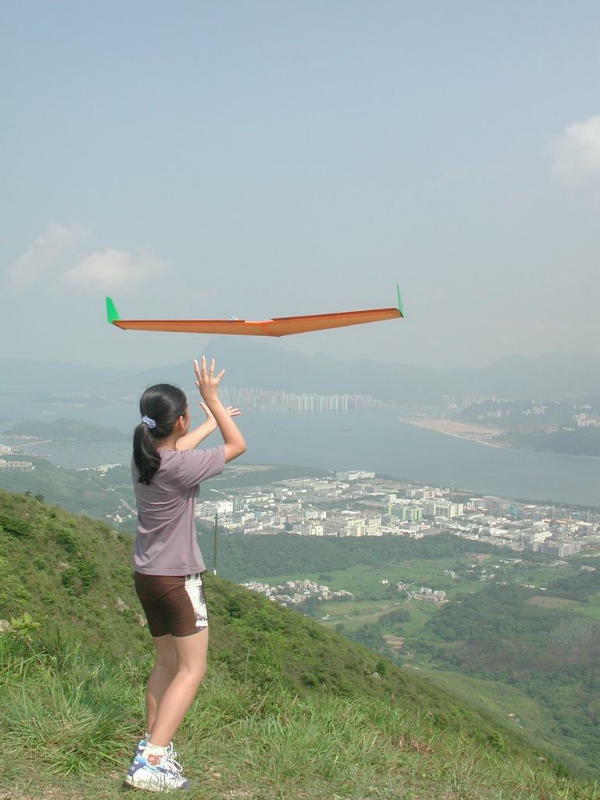 You can fly your sailplane along the south-facing slope. 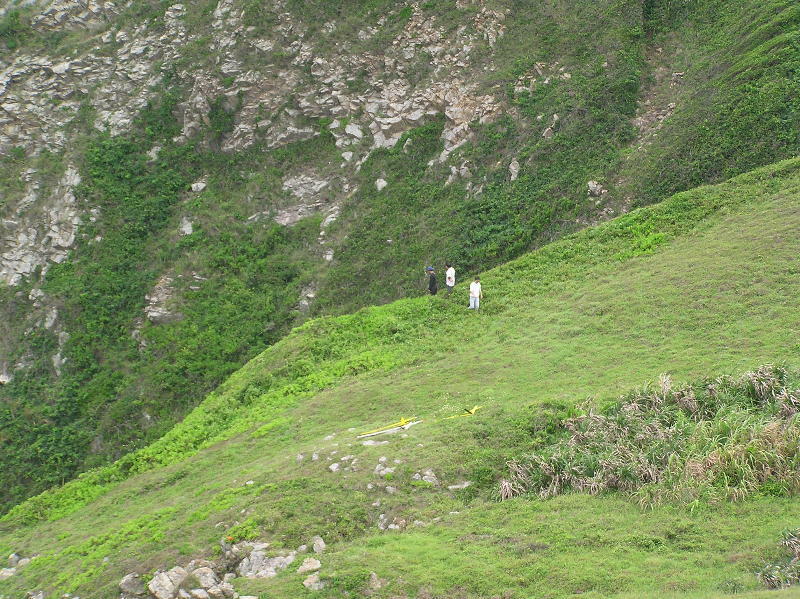 The slope is about 65m from sea level. Description: The slope is good for south and southeasterly wind. There are landing areas on the top of the slope with grassy field but mind you that there are also some villagers' tombs nearby, don't crash your plane onto them and disturb their peaceful resting places. Be careful in landing! not only because of the turbulence but also mind you not to disturb the resting places of "people" down there! Location: Ngau Wu Tun is a mountain ridge east of Pak Tam Au. 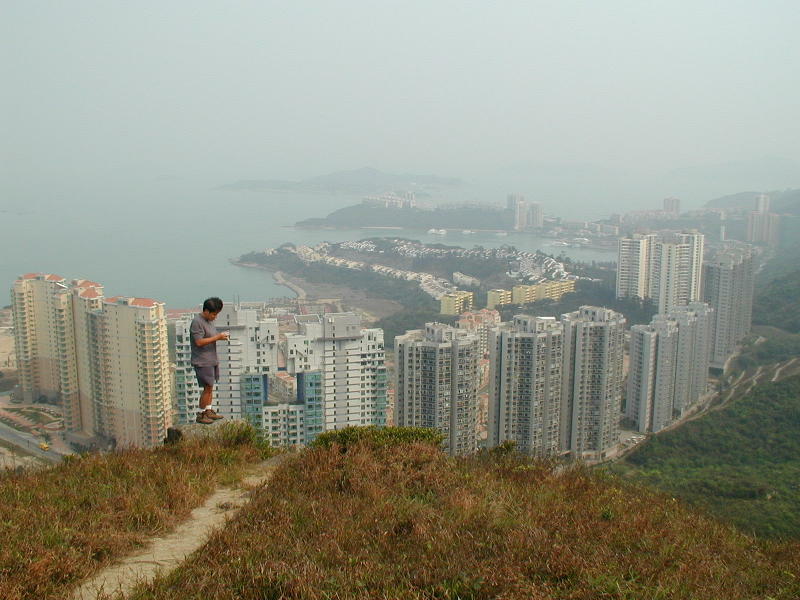 It has a spectacular view overlooking Chek Keng and Long Harbour. 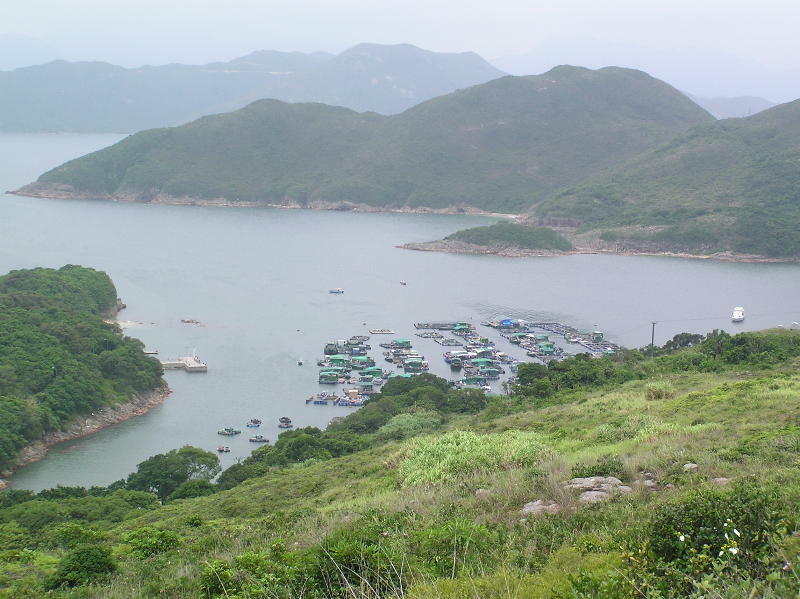 To go there, you can take KMB bus 94 running between Sai Kung Town and Wong Shek Pier. 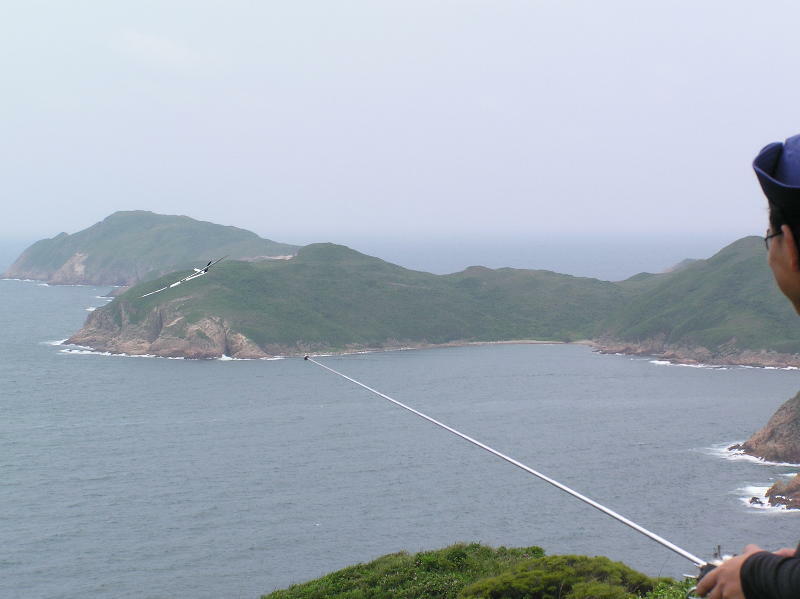 In Sunday and public holiday there is also a bus 96R running between Diamond Hill and Wong Shek Pier. Get down the bus in Pak Tam Au and walk uphill from the spot on the side of the road shown in the photo below. 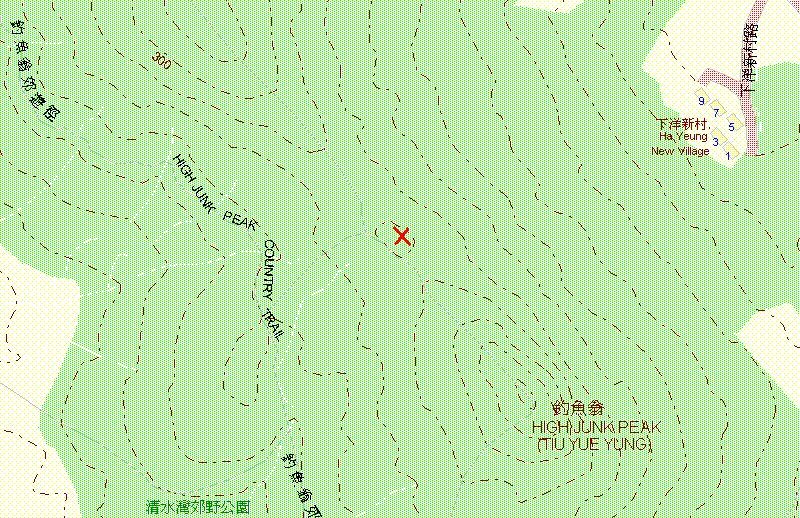 Once you get to Ngau Wu Tun Header Tank, turn right and continue walking uphill to the spot shown on the map. Description: The slope is good for easterly as well as northerly wind. 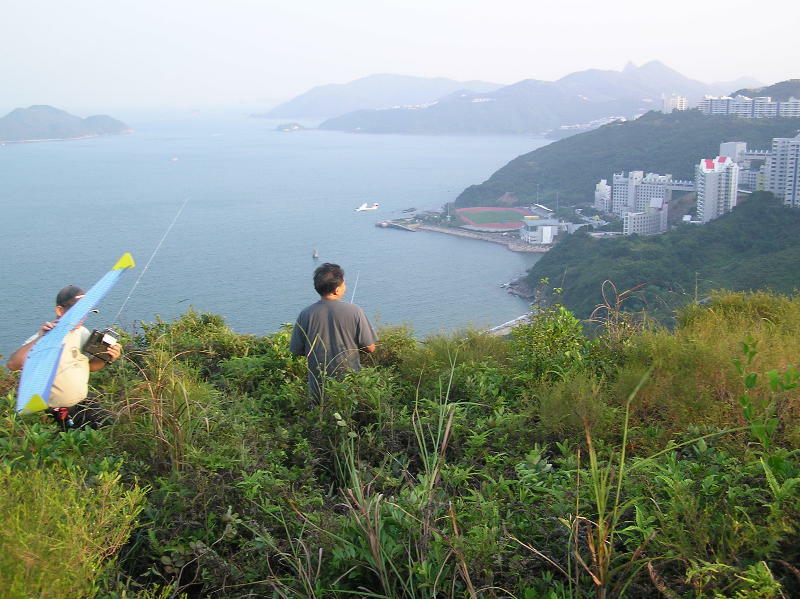 There are plenty of grassy landing areas on the top of the slope with grassy field. 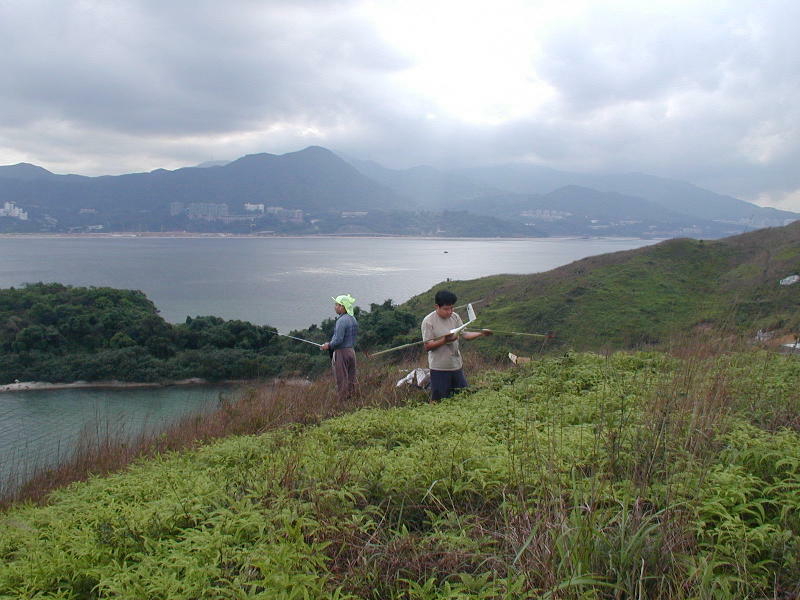 The east-facing slope is steep with dense vegetation. Lost plane alarm is strongly advised for the smaller models. Lift are good and smooth across the slope face with no noticeable turbulence. This site is a potential site for large scale soaring and landing. 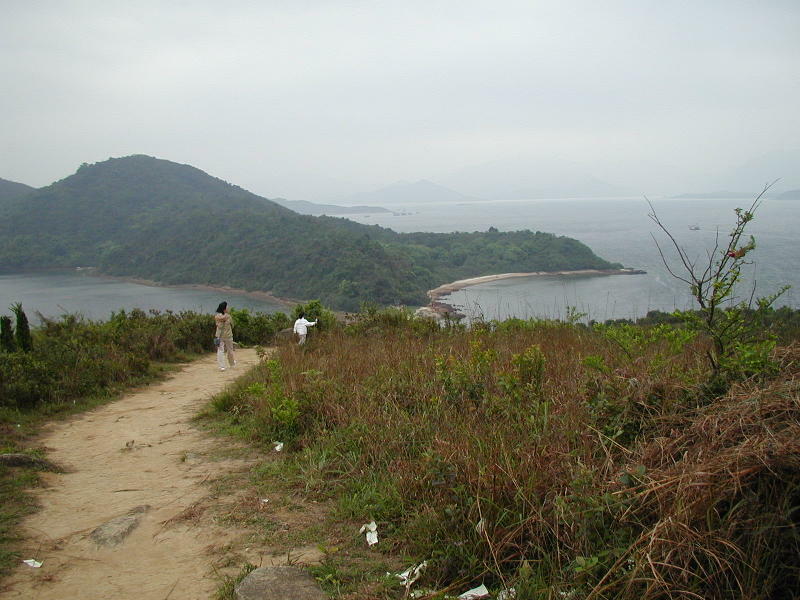 Location: Pak Lap Wan is located within the Sai Kung Country Park in the east coast of Hong Kong territory. To go there, you can drive to Pak Tam Chung and park your car in Pak Tam Chung car park. 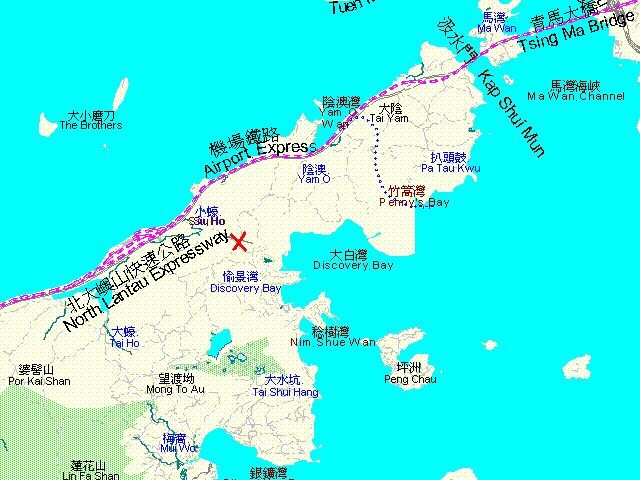 Then, take a taxi and ask the driver to take you to Pak Lap Wan. The taxi fare should be around HK$50. Once got off, you will see a concrete pave road leading down to Pak Lap village. In the village store turn right to a road leading up to the mountain and Tung A Wan. On the top between two ridges, you will see a couple of ridges to the south with slopes facing east and overlooking the bay. There are two possible slopes to soar. 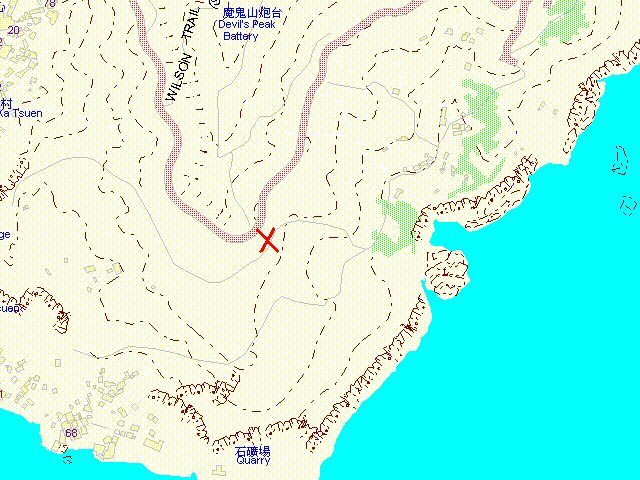 The upper slope is just on the mountain top near the road (marked with a red X in the maps shown). The slope face is quite smooth and the landing area is just on the mountain top. 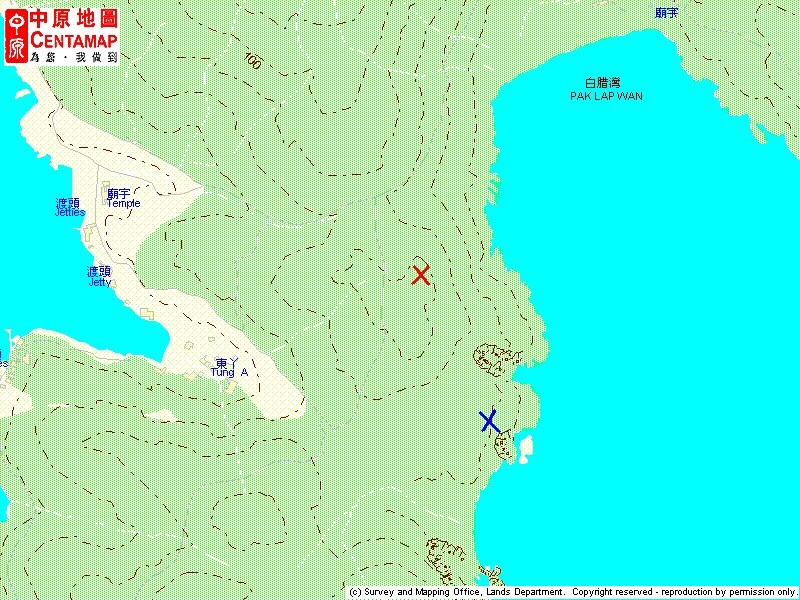 The lower slope (marked with a blue X in the maps shown) is near the sea shore with a vertical cliff extended out to the ocean. Both slopes have fantastic slope lift, however, comparatively, the lower slope has less turbulence. 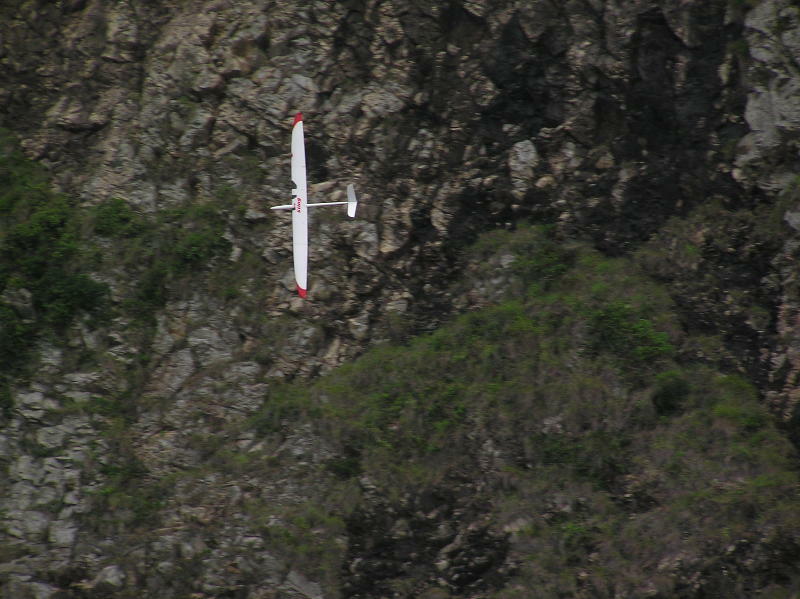 The lower slope is long and straight which is particular good F3F races - but if you made a mistake, you should never imagine you can recover your plane down the cliff! 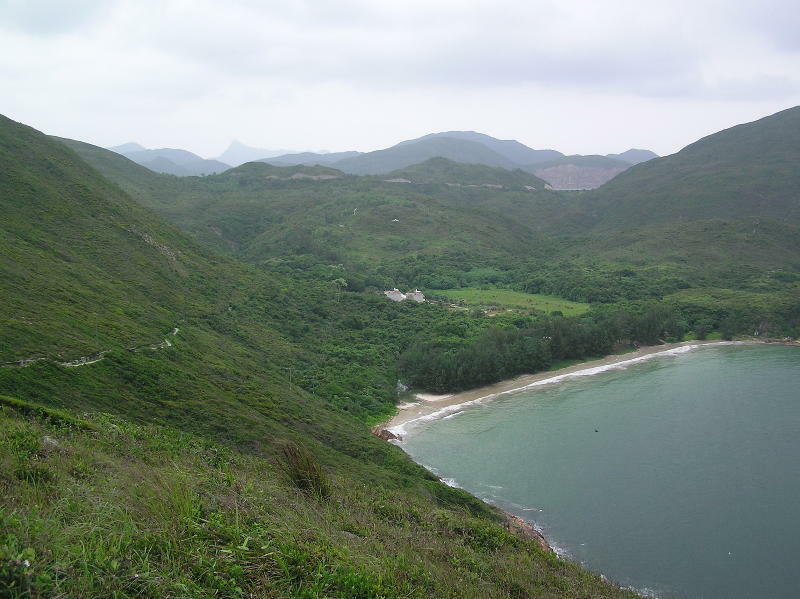 The whole area is virtually unexploited and the natural scenery is just stunning. Description: The site is good with easterly winds and the lift it generates is just FANTASTIC! 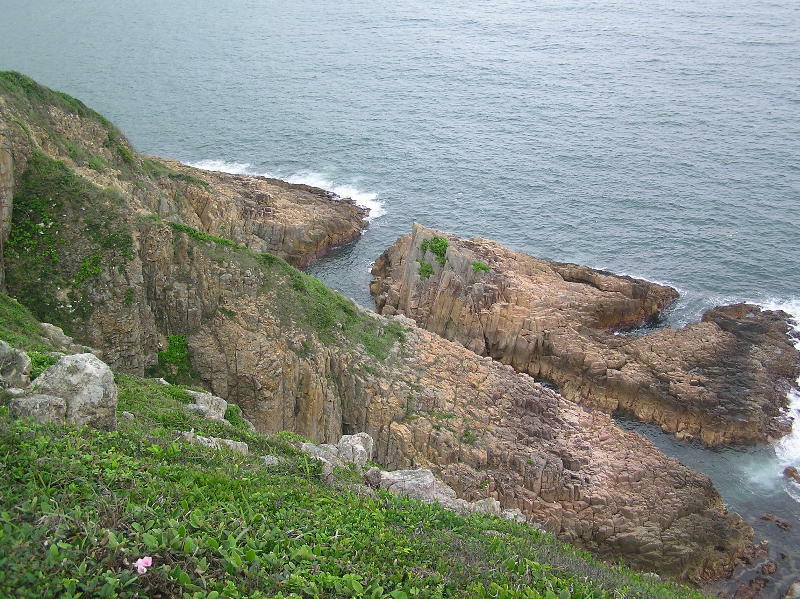 However, the lower site is right at the cliff. You must have the courage to throw your plane out - pick up is impossible! 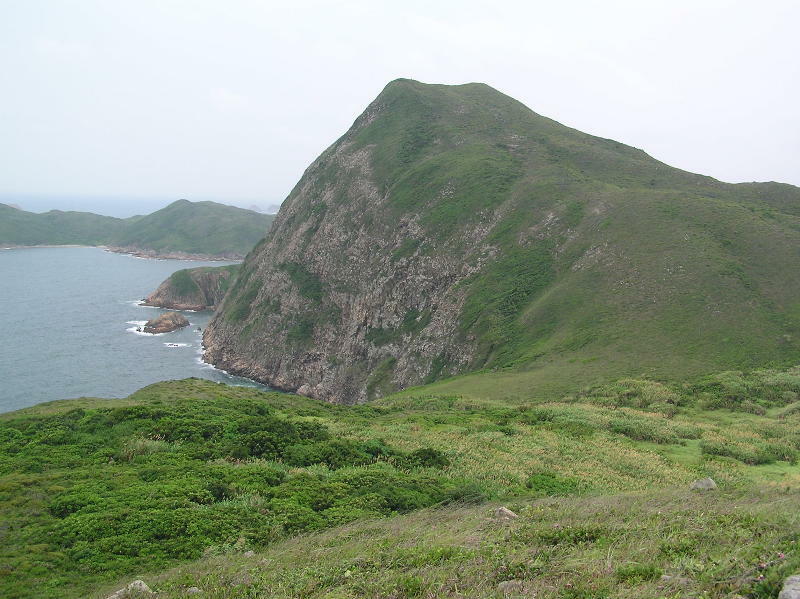 This is Pak Fu Shan, the tallest mountain in the peninsula. The lower part of the slope right in front of the shore is just wonderful! But .. it is right on the cliff! You must have the courage to soar here! Such a beautiful place, it's fantastic to soar over this rock! There is a small valley with thick vegetation - ng... good for landing? The slope is straight and long enough for running F3F races and most importantly, the lift is fantastic! See a movie for crash landing a NYX F3F - no damage! 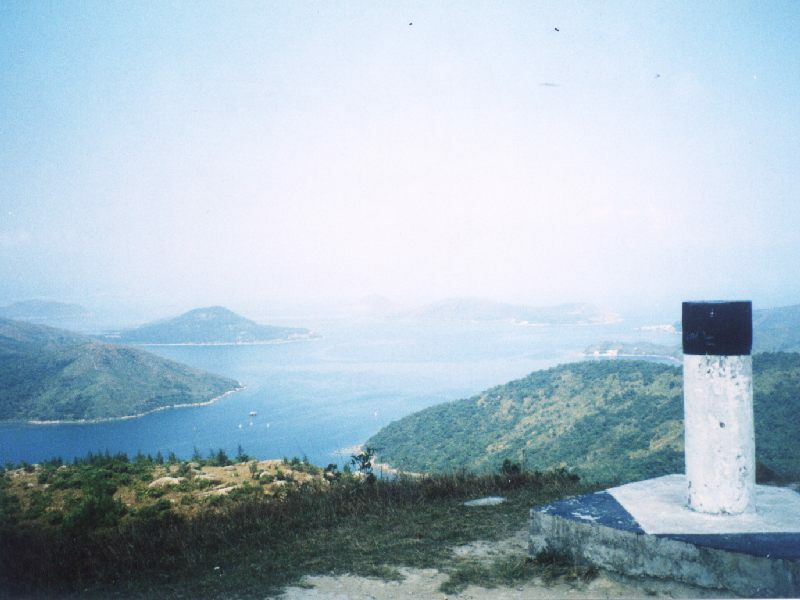 Location: High Junk Peak (Tiu Yue Yung) is located in the Clearwater Bay peninsula, Sai Kung, in the east coast of Hong Kong territory. 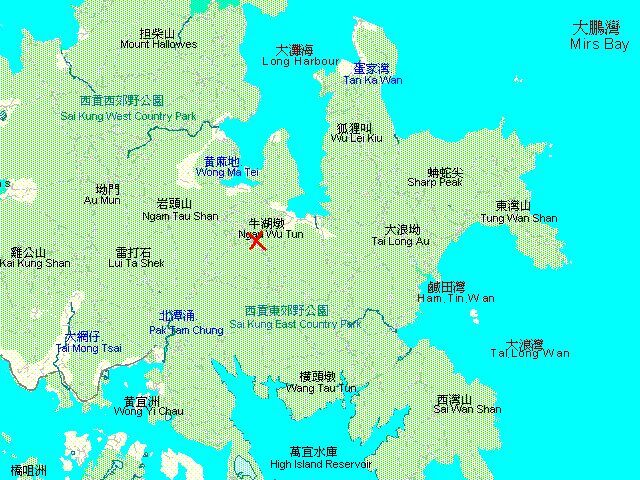 To go there, you drive to the direction of Tai Au Mum along the Clearwater Bay road. 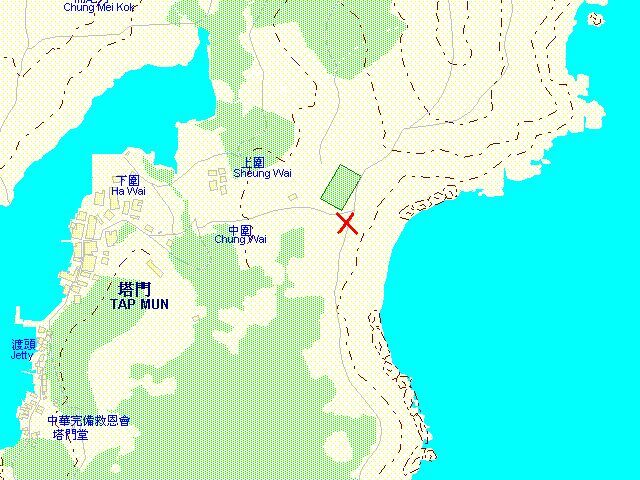 Just before you turn right to Tau Au Mun road which leads down to Clearwater Bay, you will see a lorry parkig area. Opposite the car park, you will see a small paved road leading up to the mountain. 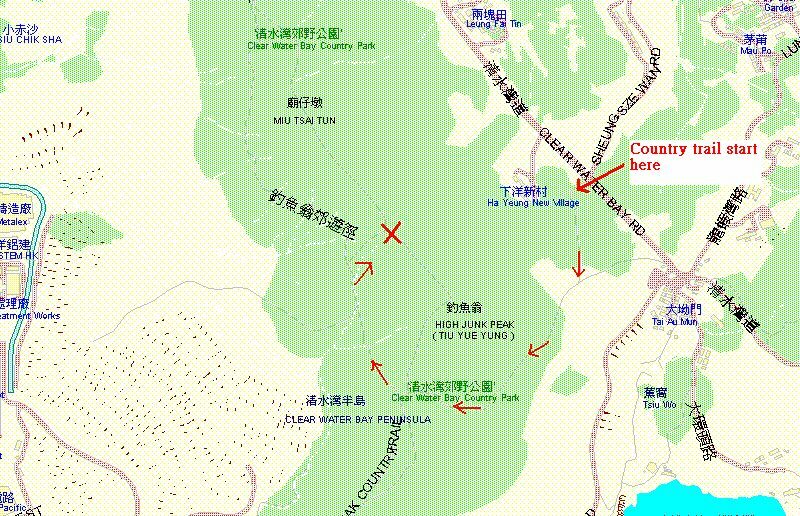 This trail is marked as Clearwater Bay Country Trail. Park your car in parking lot if there is space available, otherwise you have to go further to find a bigger car park near the T-junction. 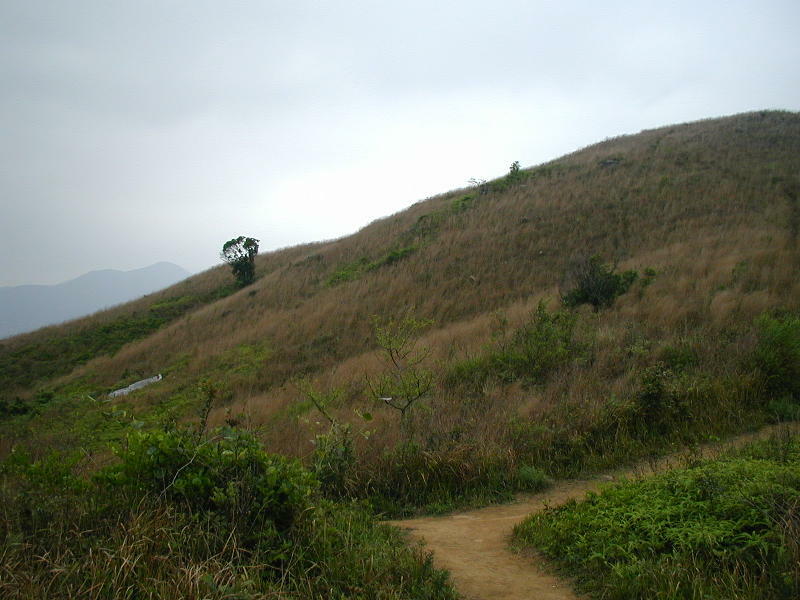 The trail will take you circling High Junk Peak to the otherside of the peak, make sure you turn right whenever you meet a branch road. 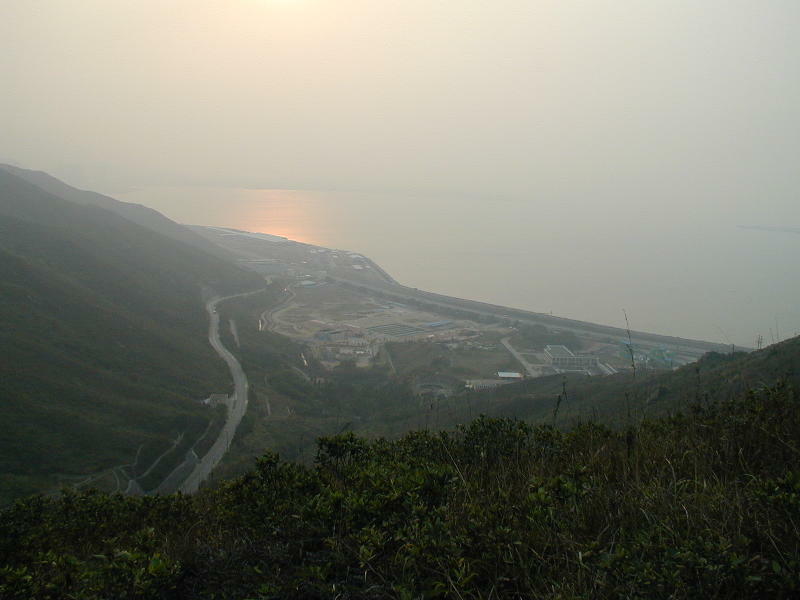 You do not need to go up to the peak, instead circle the peak to the west side and you will see Junk Bay and the industrial estate in the southwest direction. The hike is rather easy and would normally take about 20 to 30 minutes. 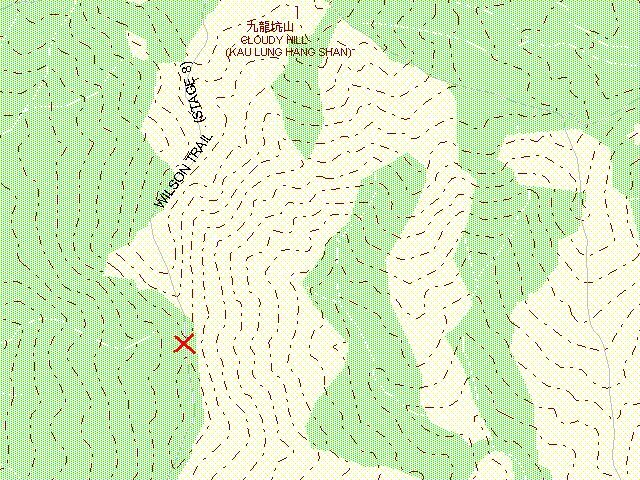 The flying site is on a small ridge between two big ridges. 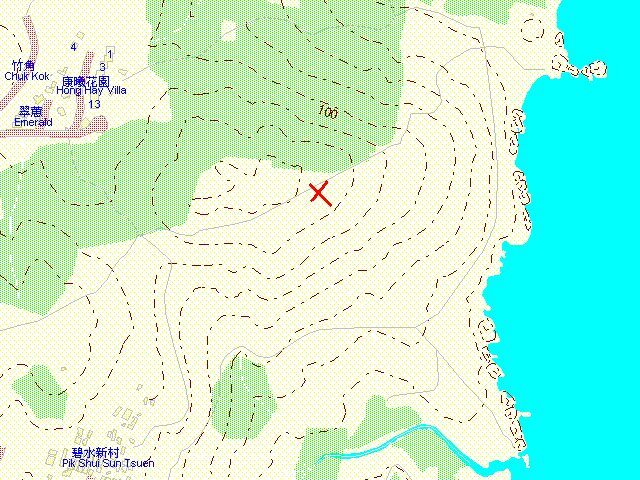 Description: The slope is facing northeast on one side and southwest on the other. Dynamic soraing on any side is possible. The lift band is wide and is really good even with just moderate wind speed. The slope on the northeast side has dense vegetation so pick up is a bit difficult. There is no large grassy area for landing, you have to dive down and come up to loose speed before touch down in front of the slope. 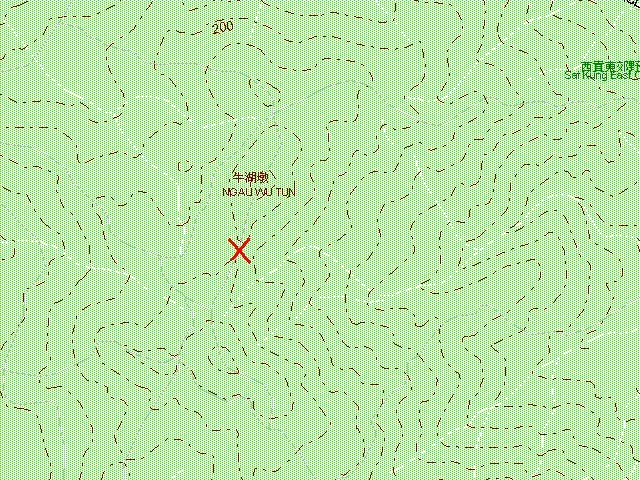 You can find out the exact positions of these sites by visiting the electronic map at centamap. If you have visited some flying sites not listed here, please forward the information to me at stan@rcsail.com. Thanks.